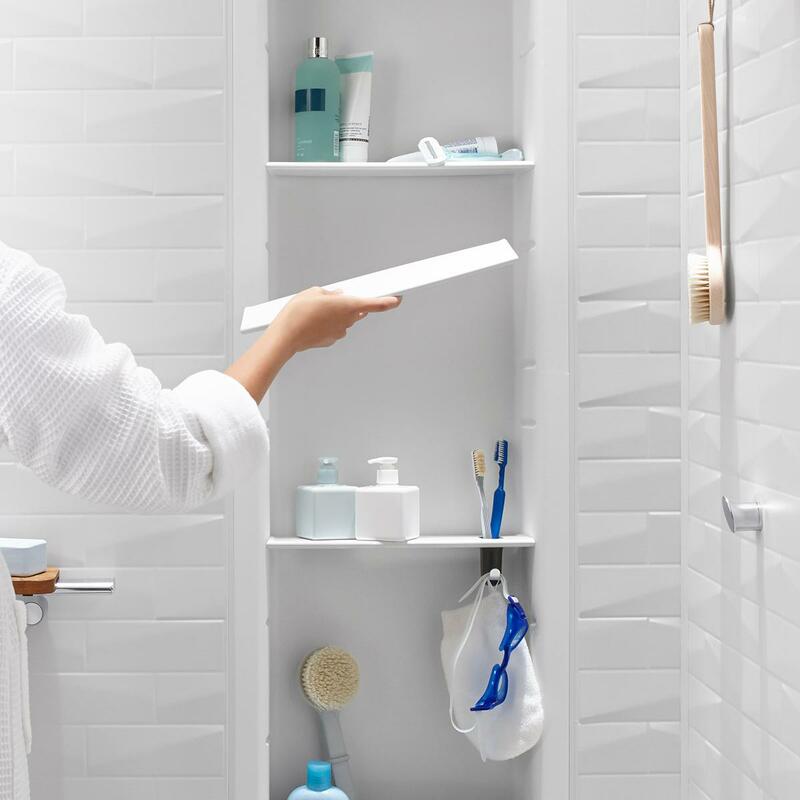 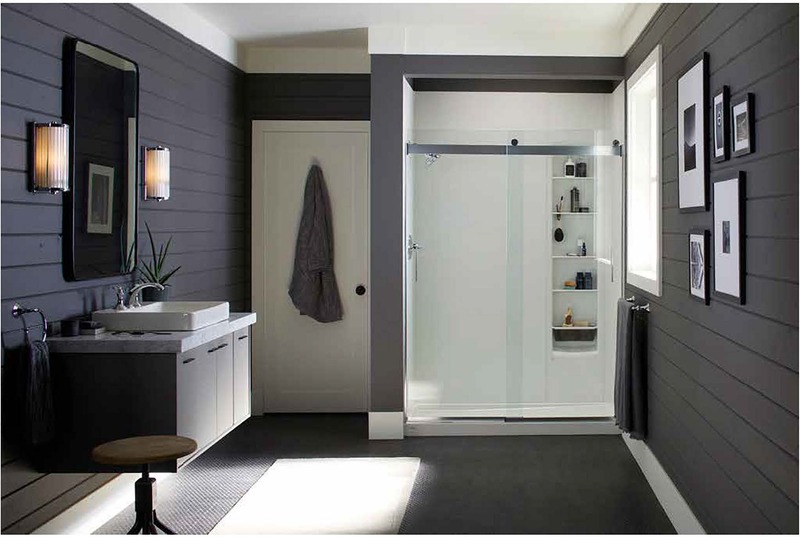 At Home Smart, we recognize the impact that a bathroom remodel can have not only on your home, but also on your quality of life. 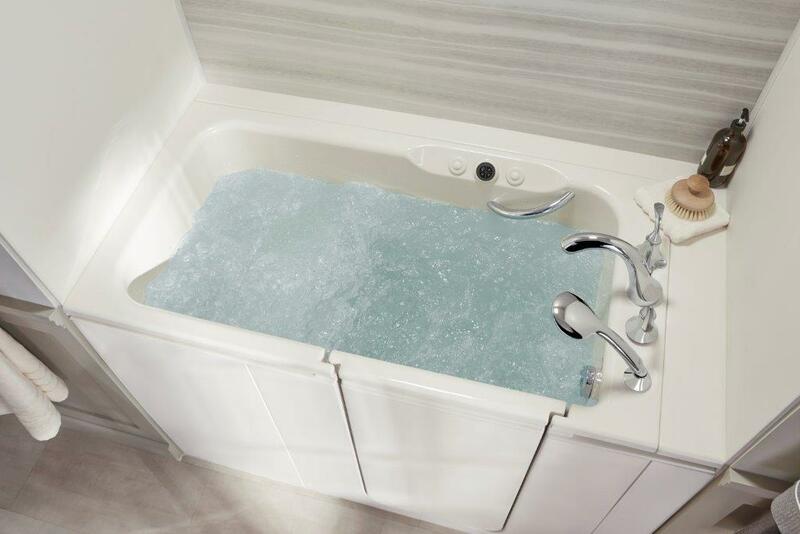 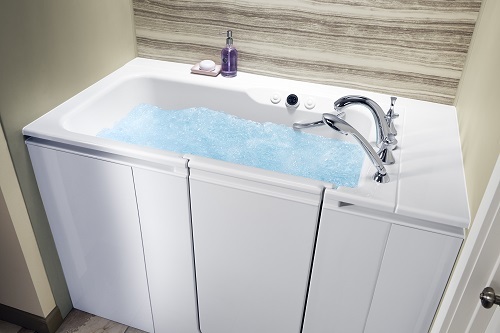 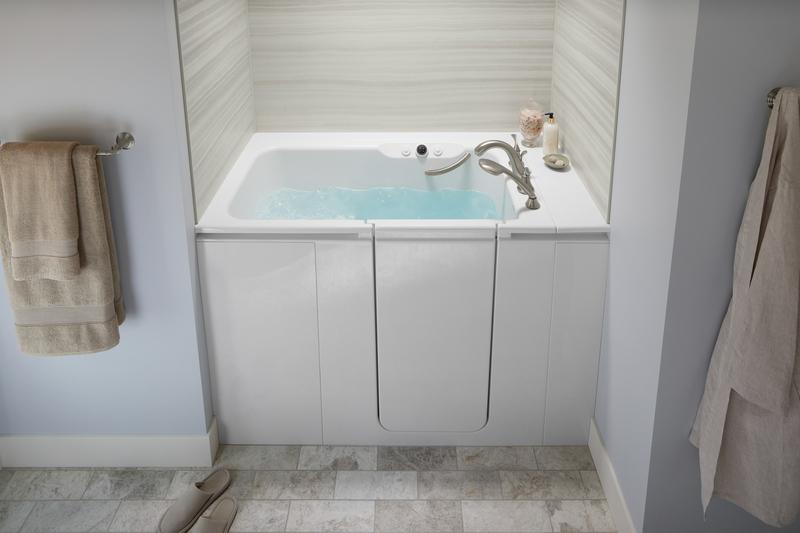 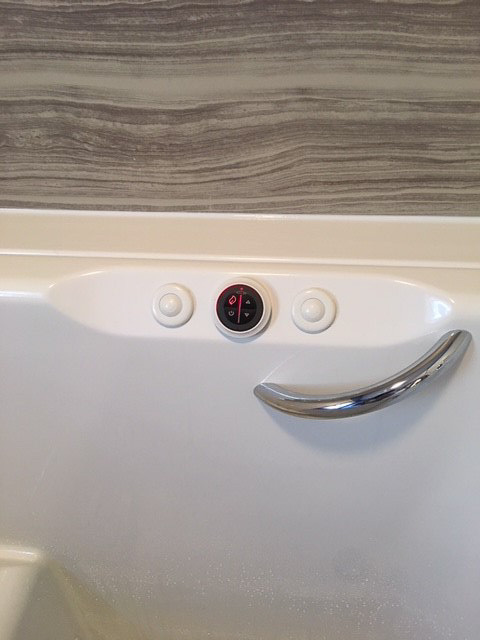 Having a tub that is attractive and laid out with convenient features for your needs will make your daily bathing routine a far better experience. 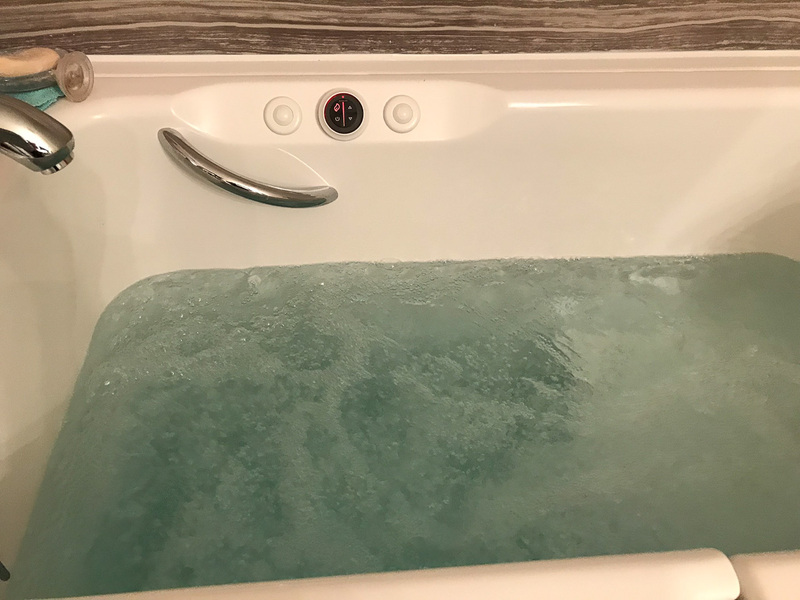 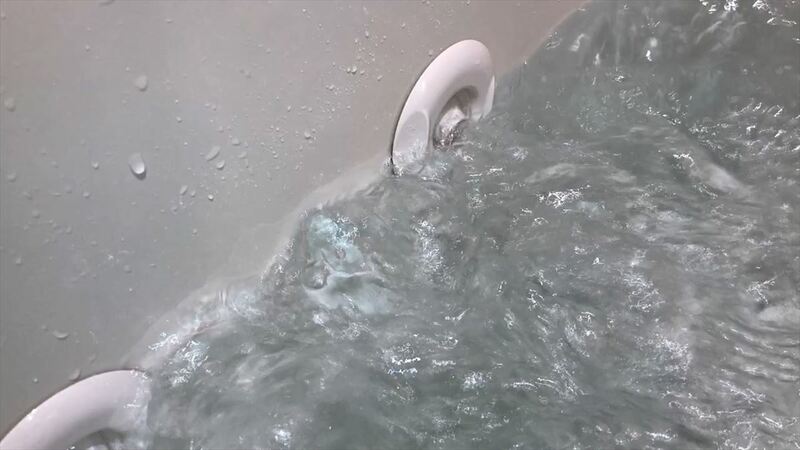 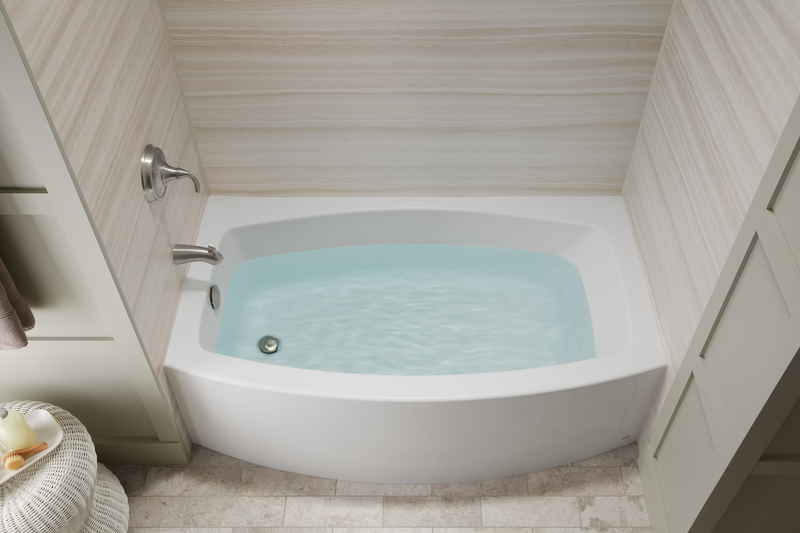 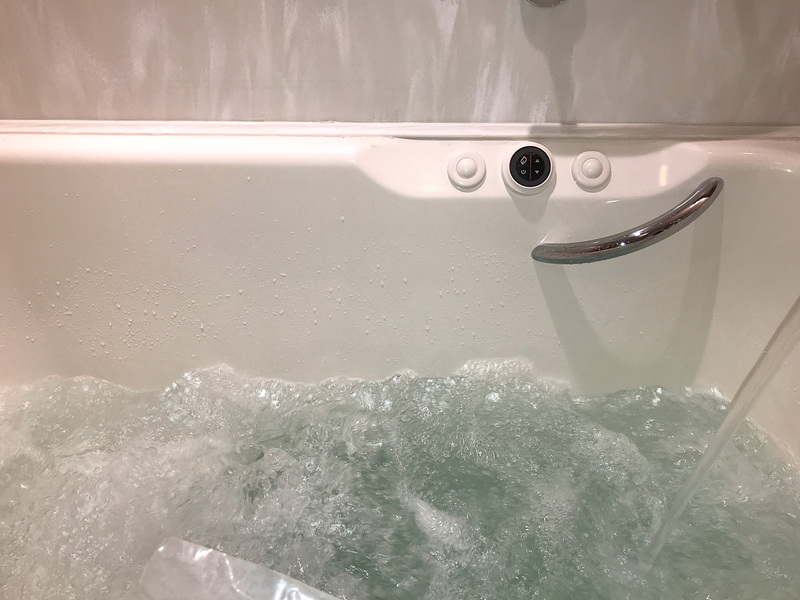 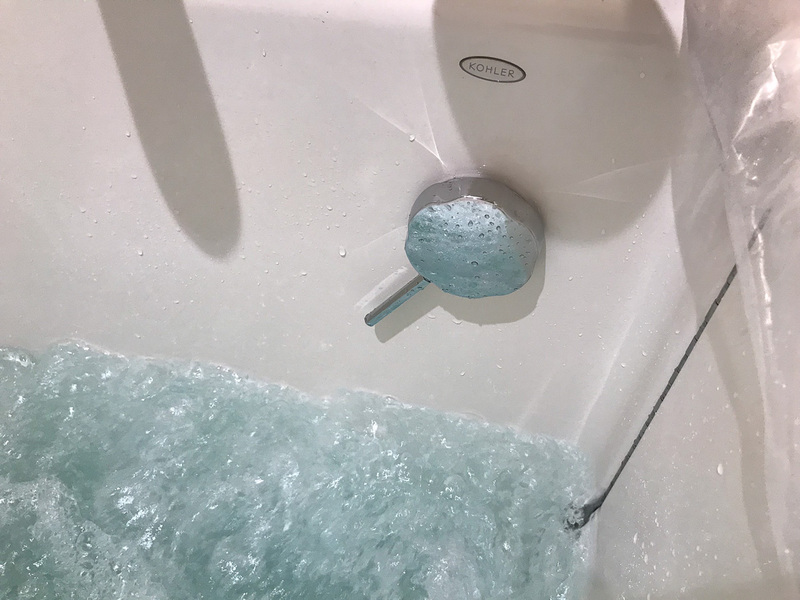 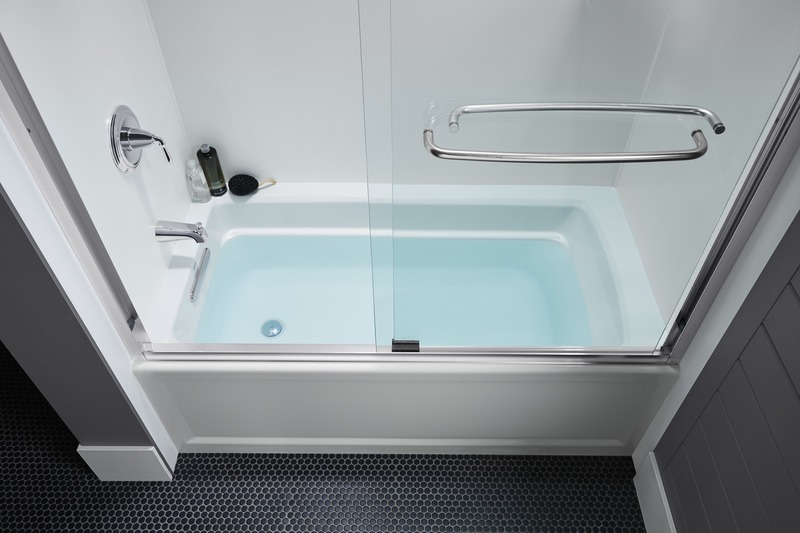 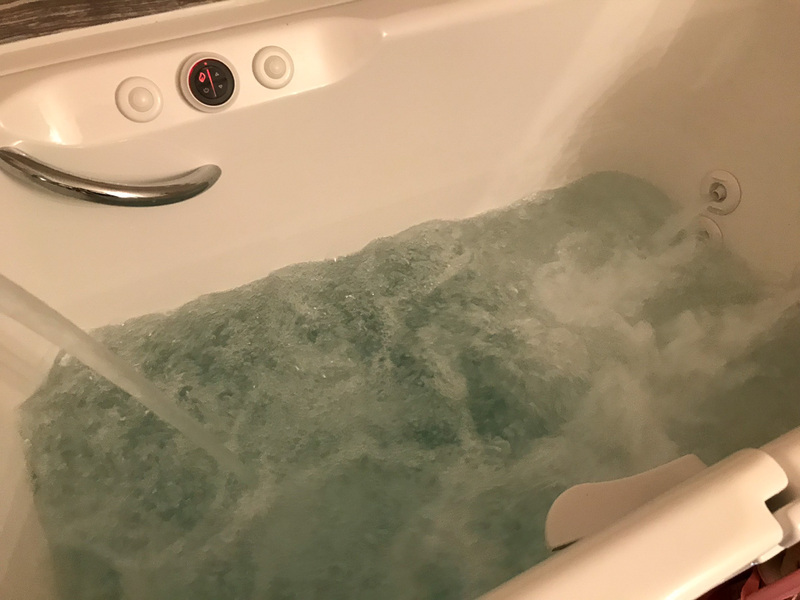 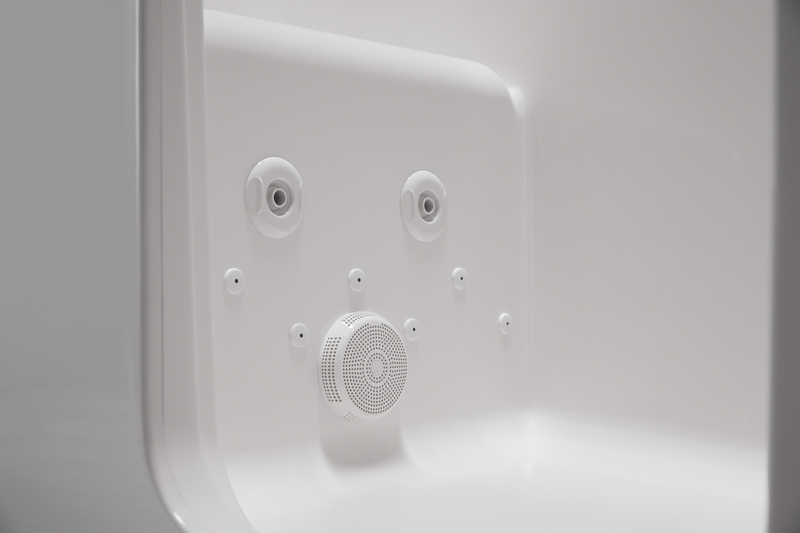 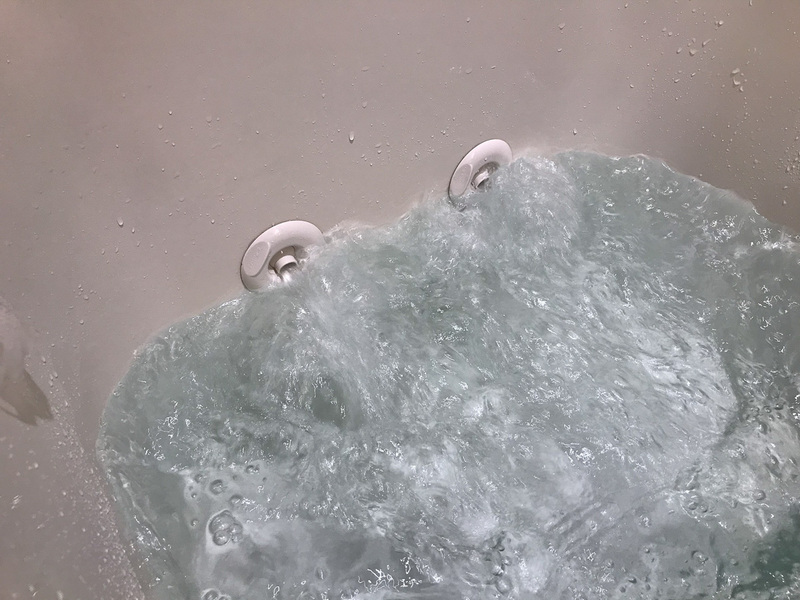 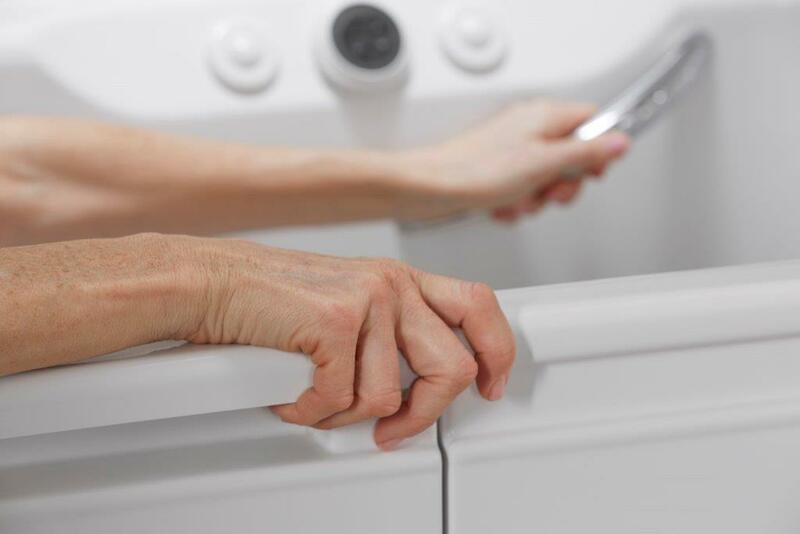 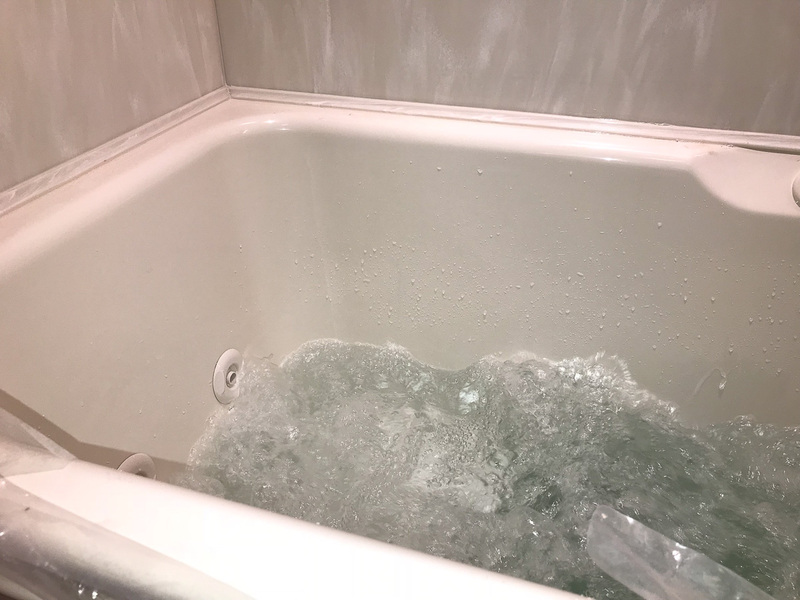 Plus, a new tub made of mold-resistant materials can save you a tremendous amount of time that you may be currently spending trying to keep your bathtub clean. 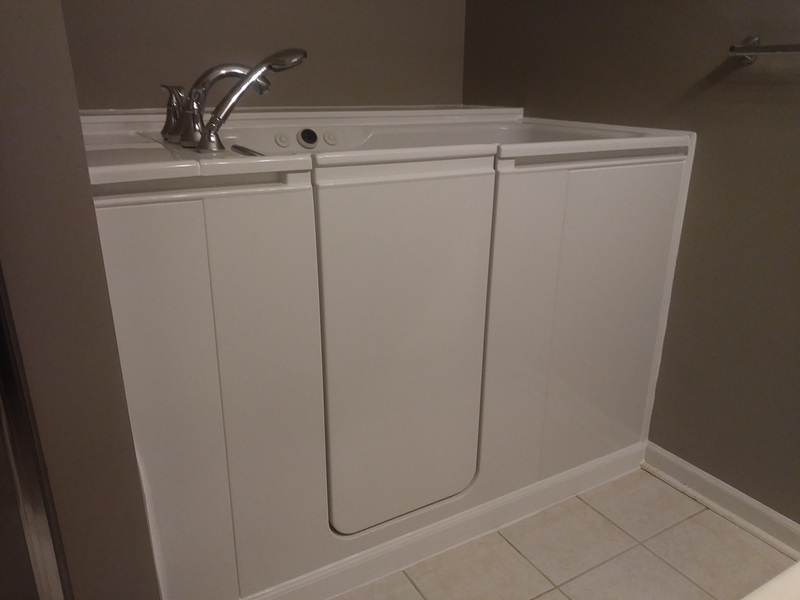 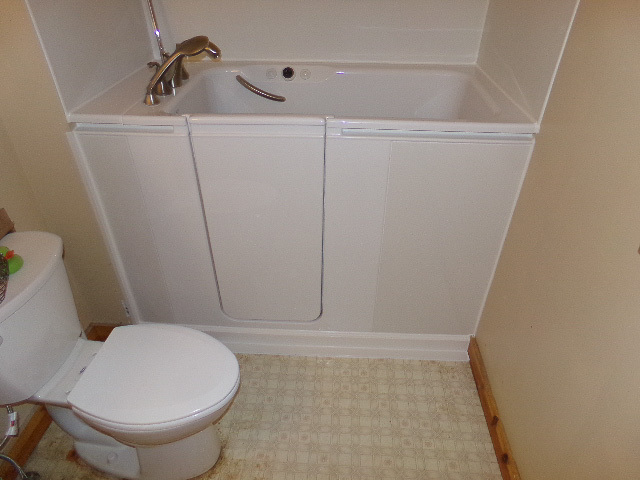 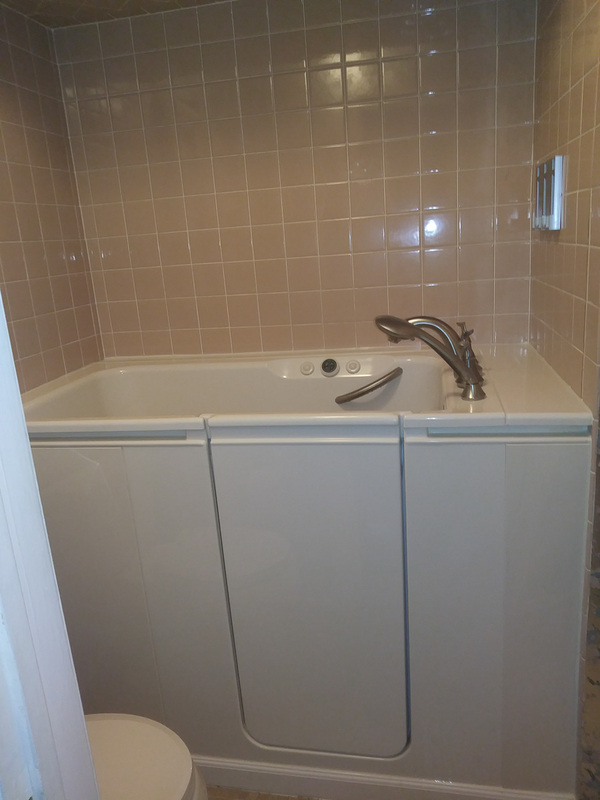 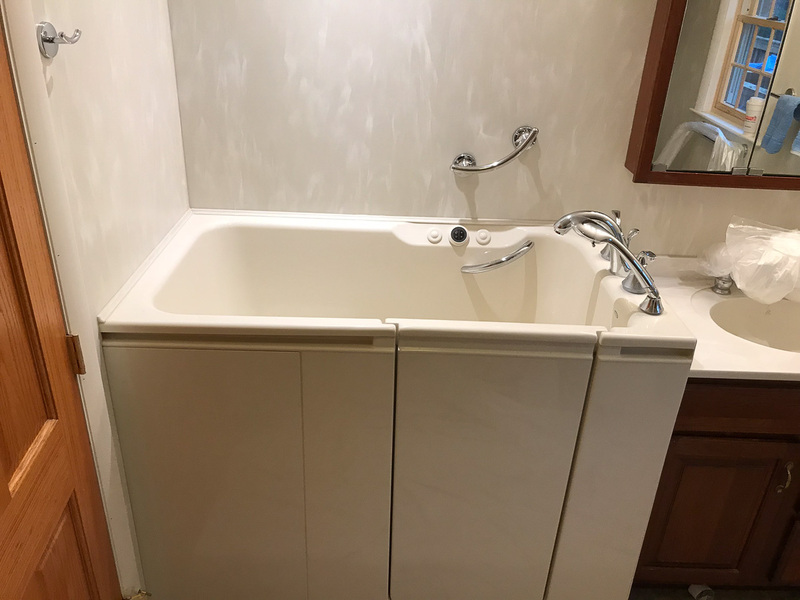 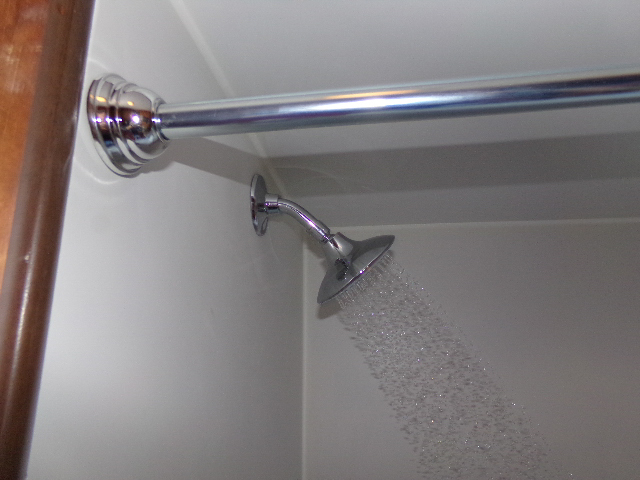 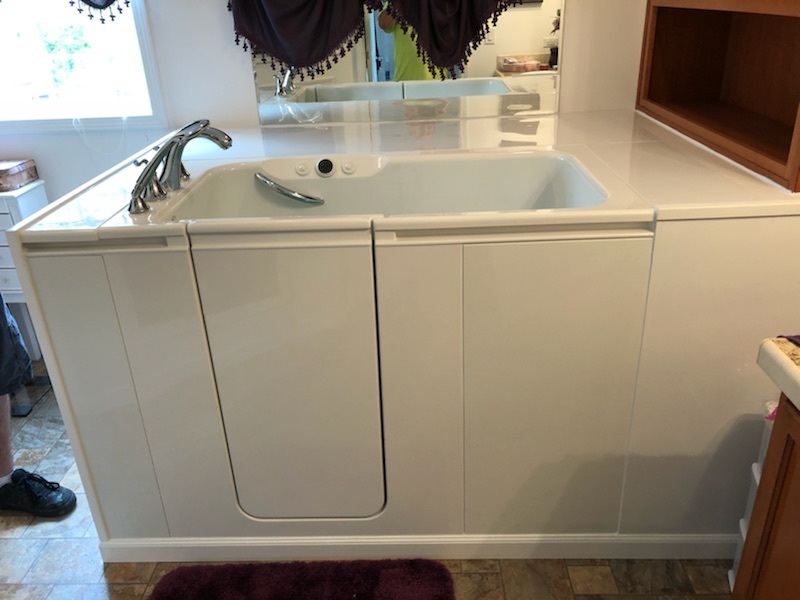 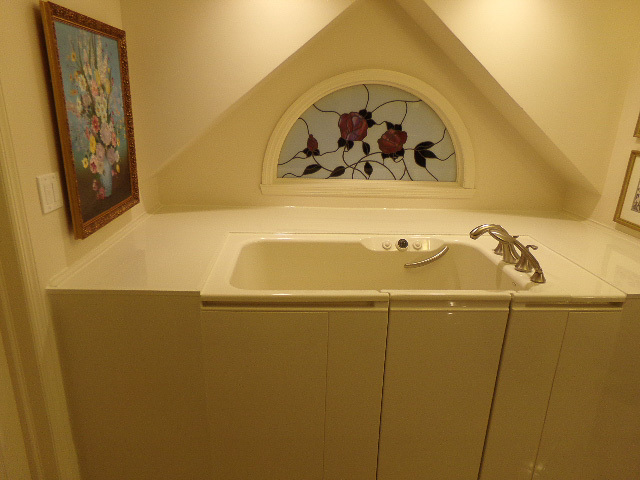 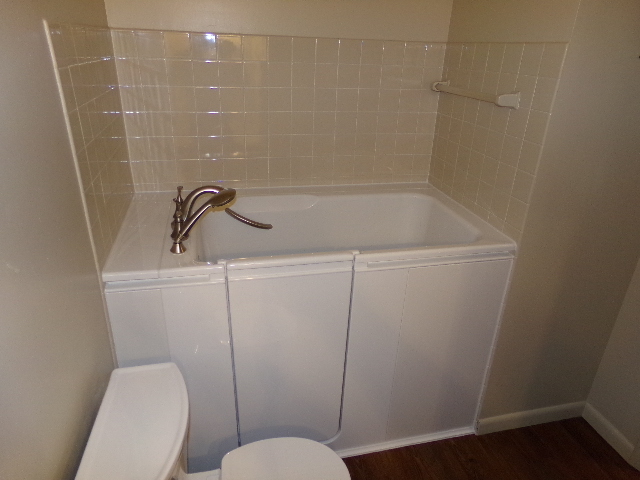 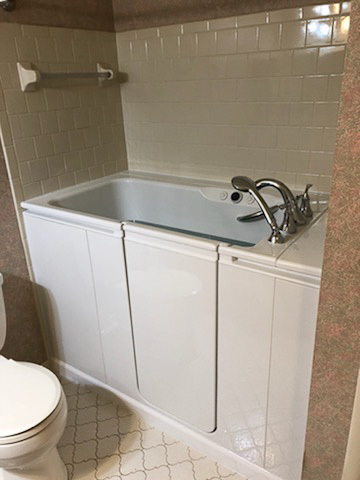 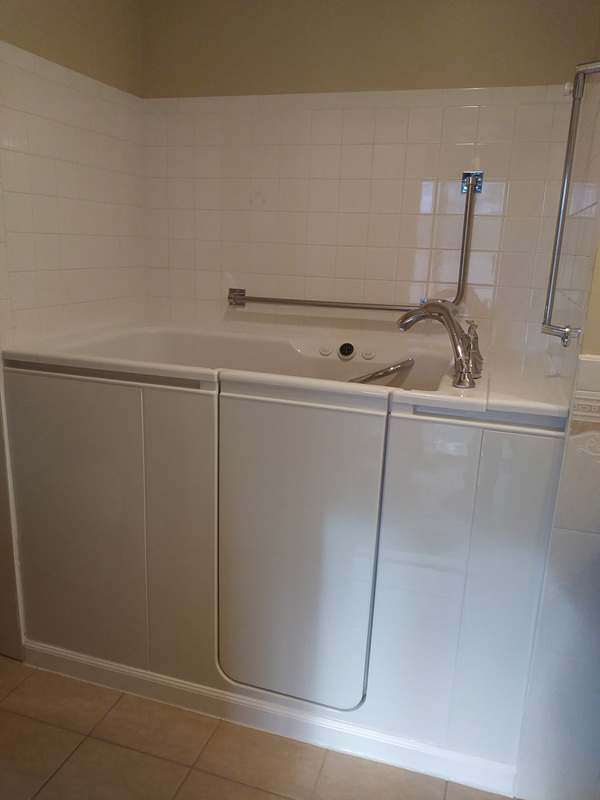 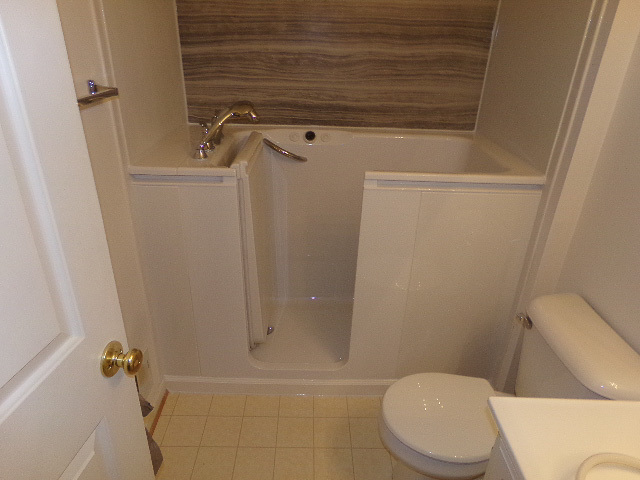 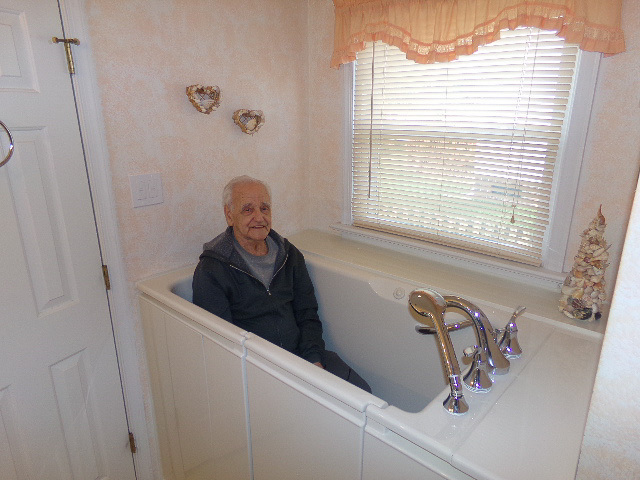 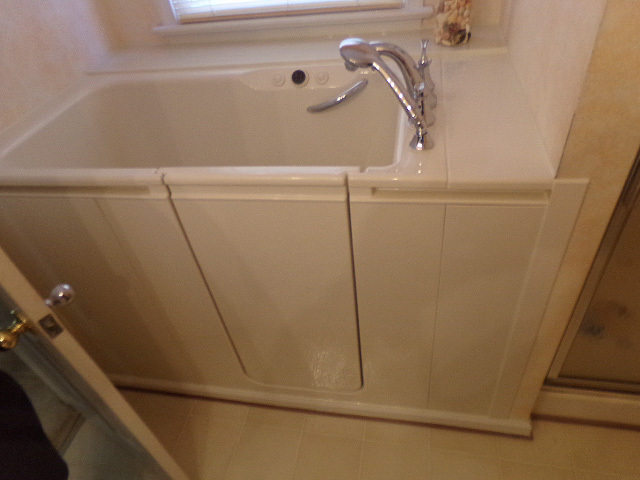 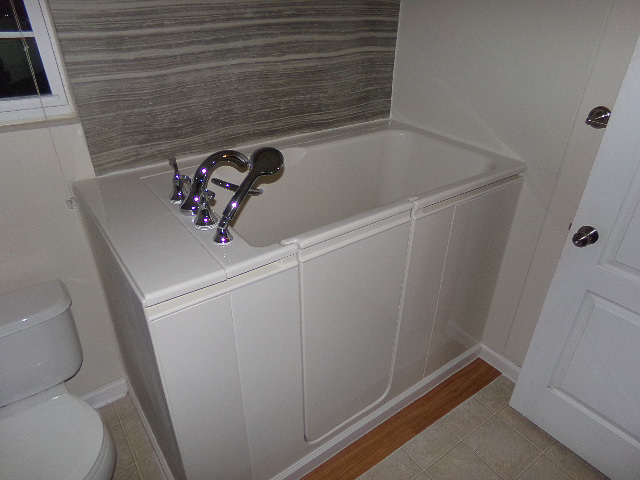 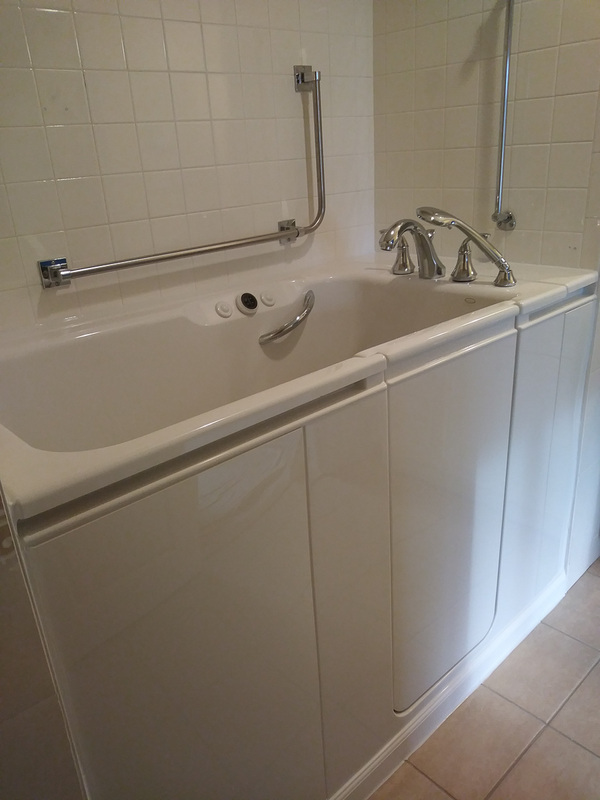 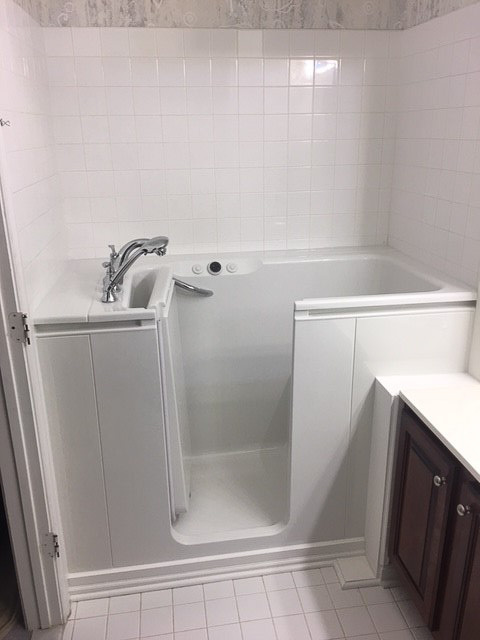 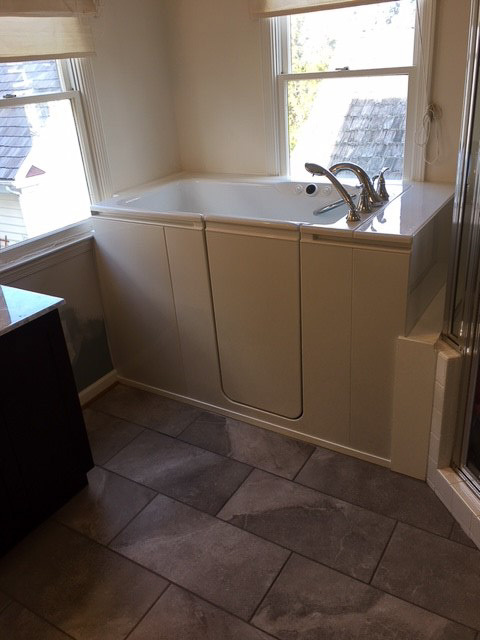 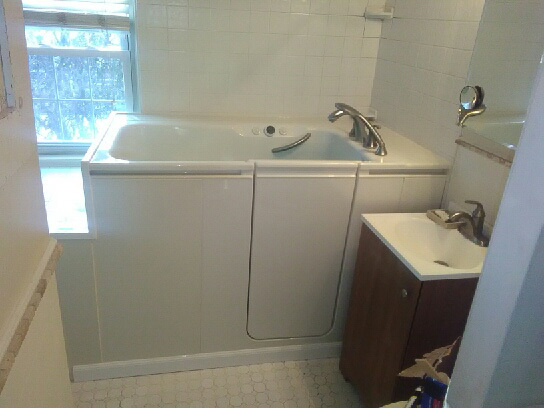 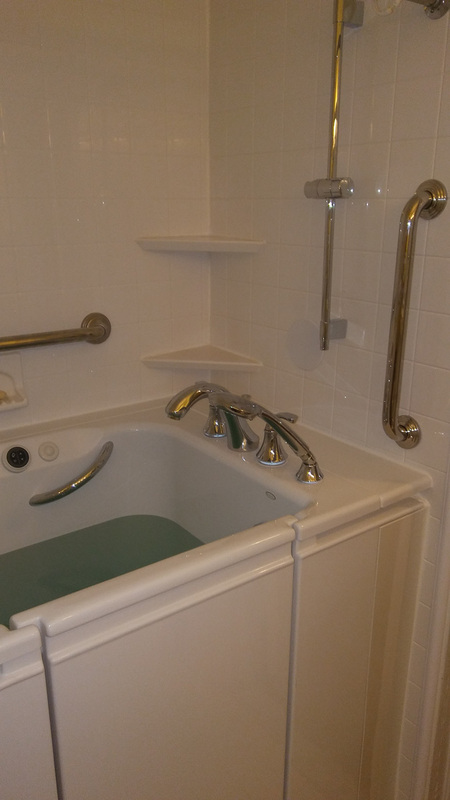 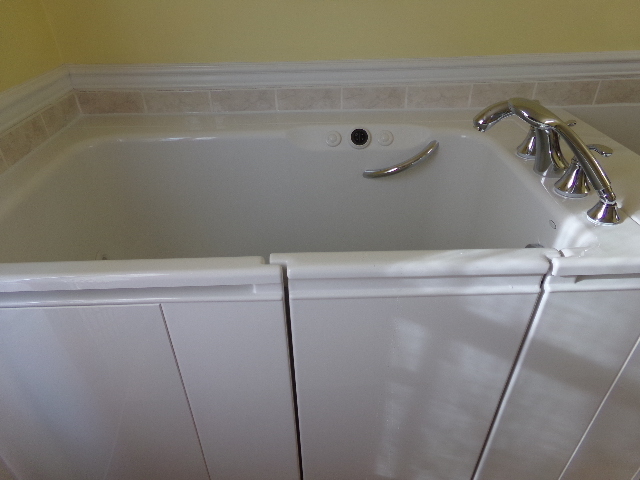 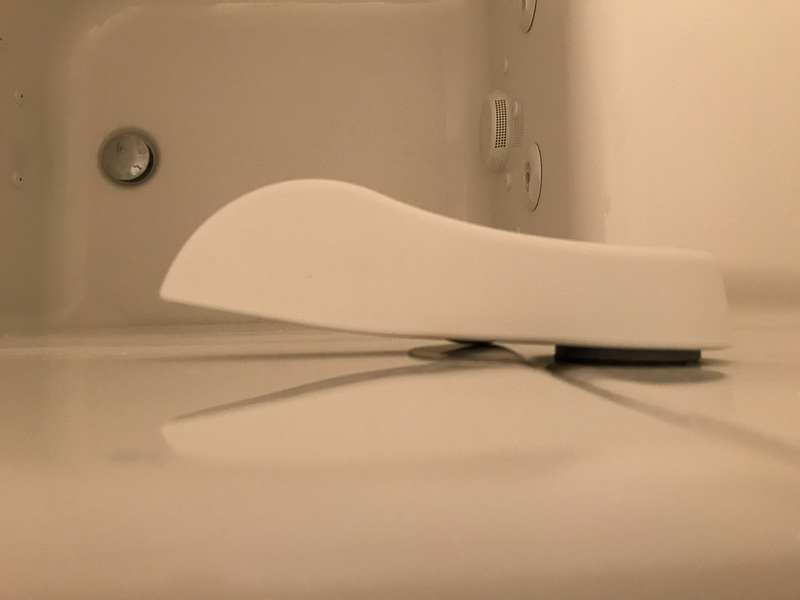 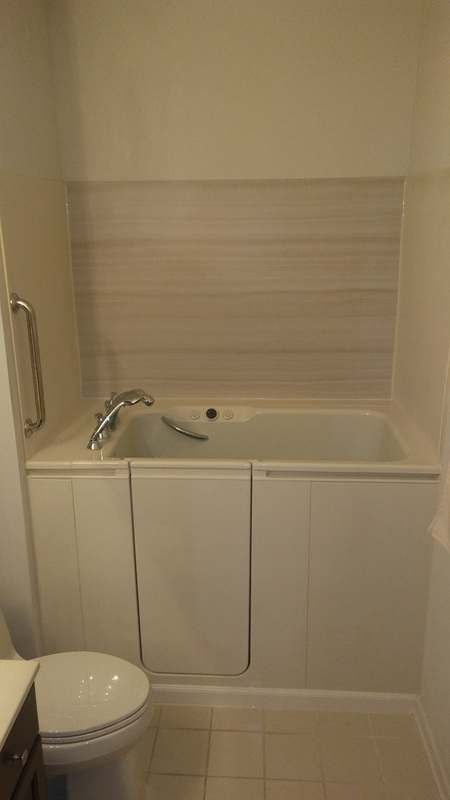 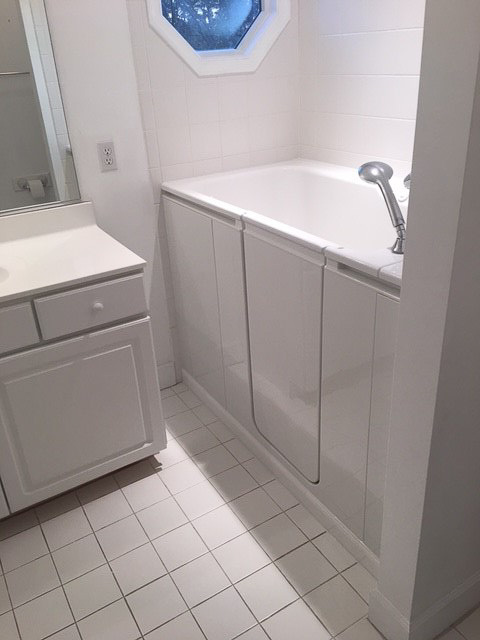 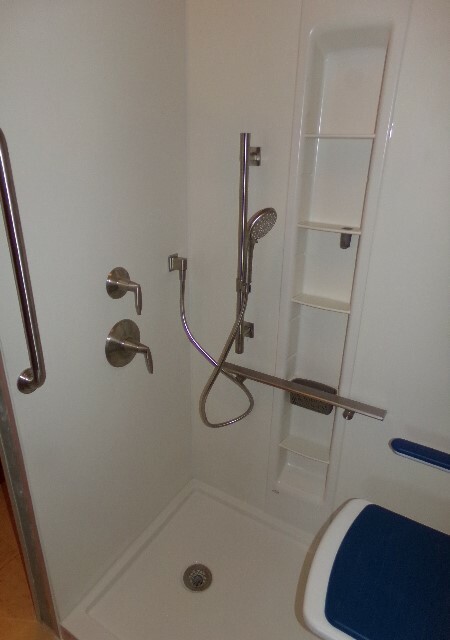 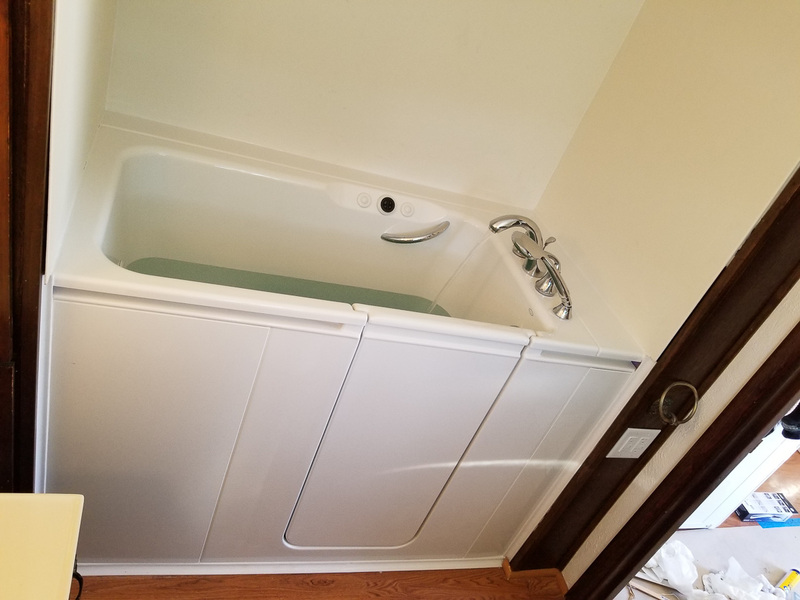 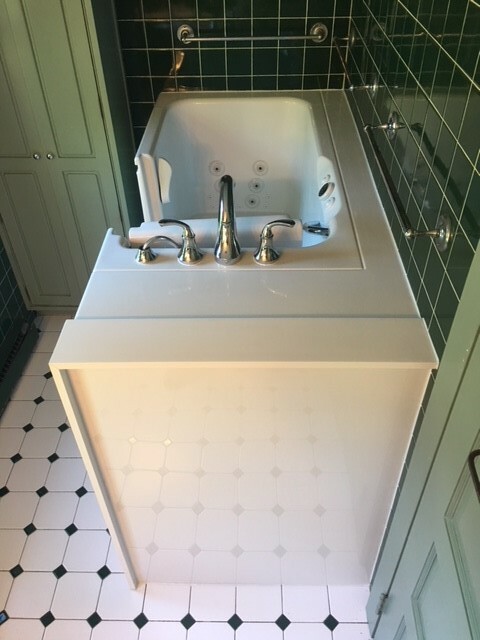 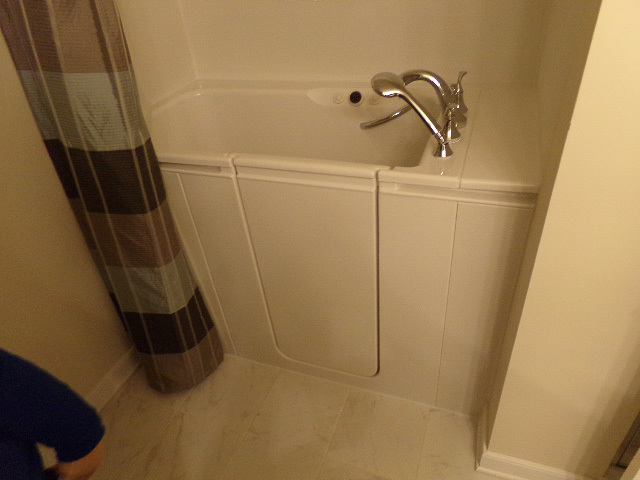 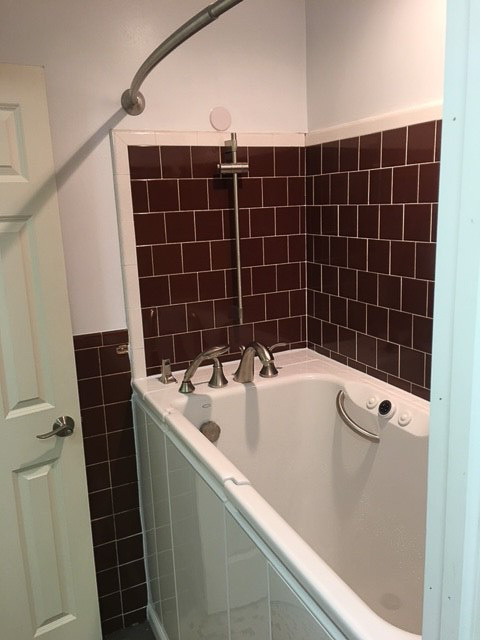 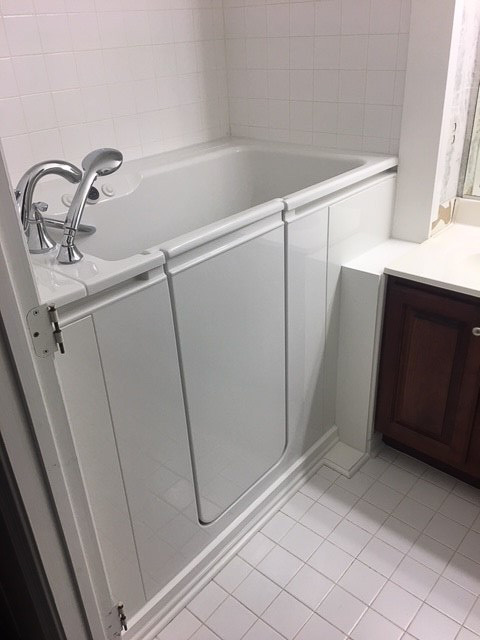 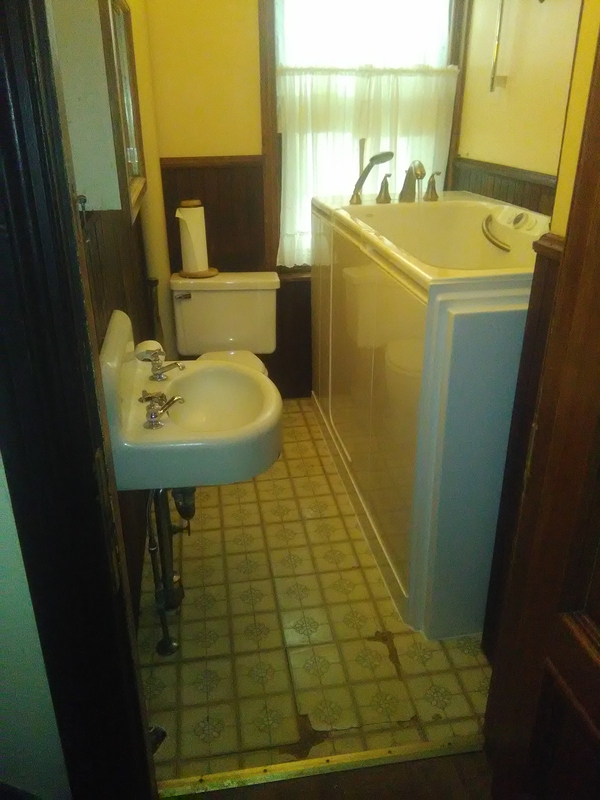 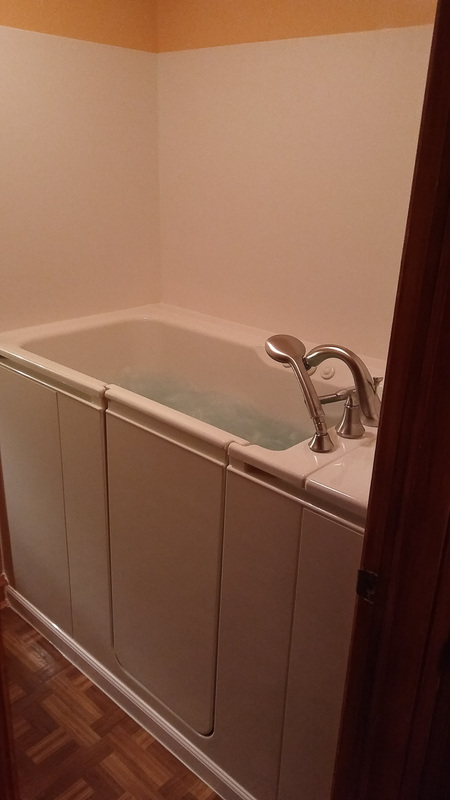 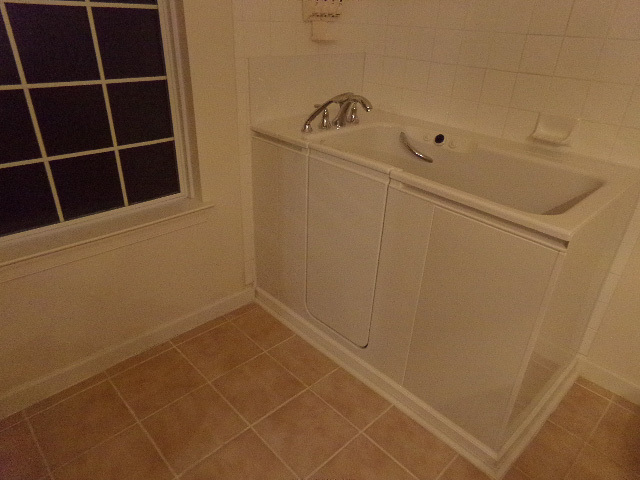 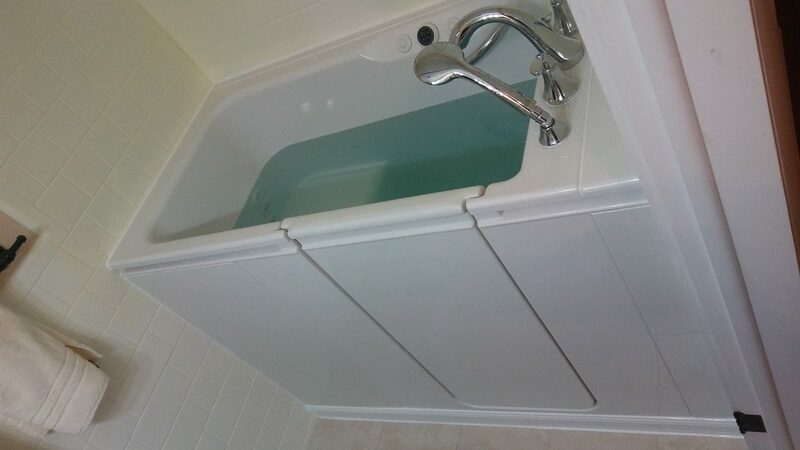 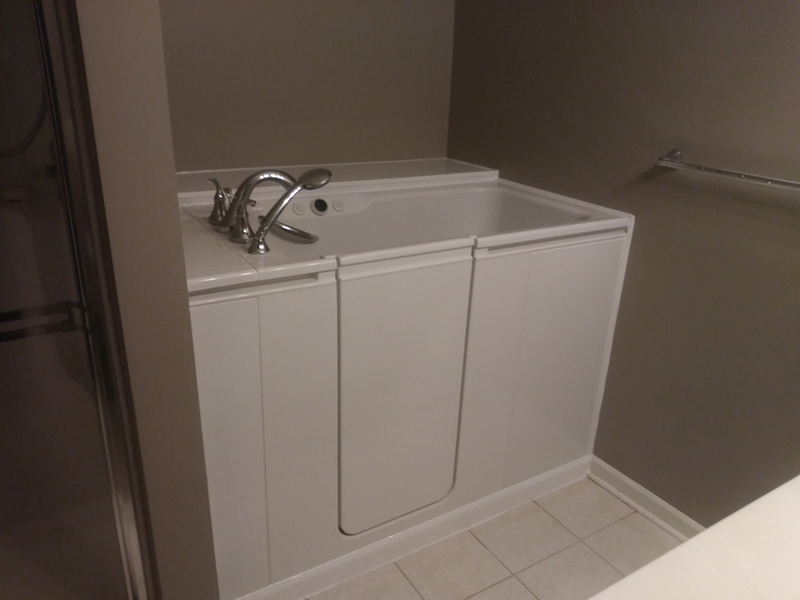 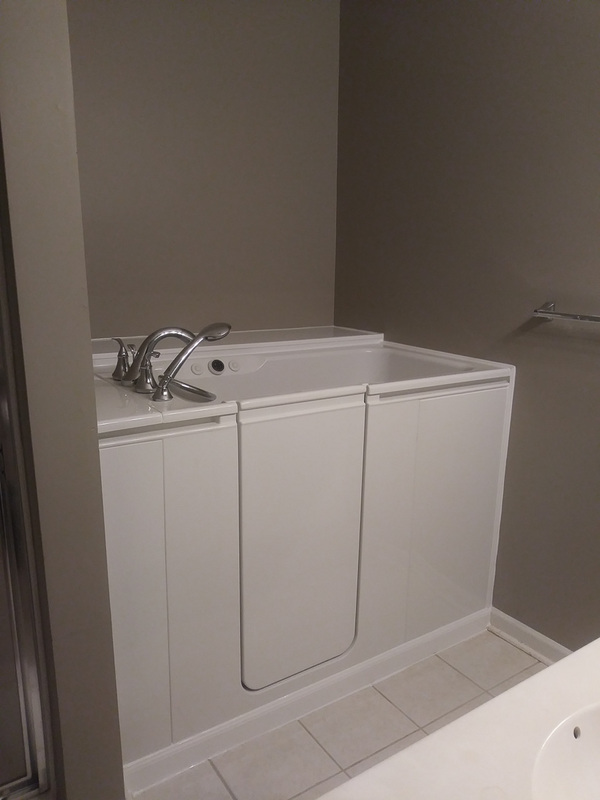 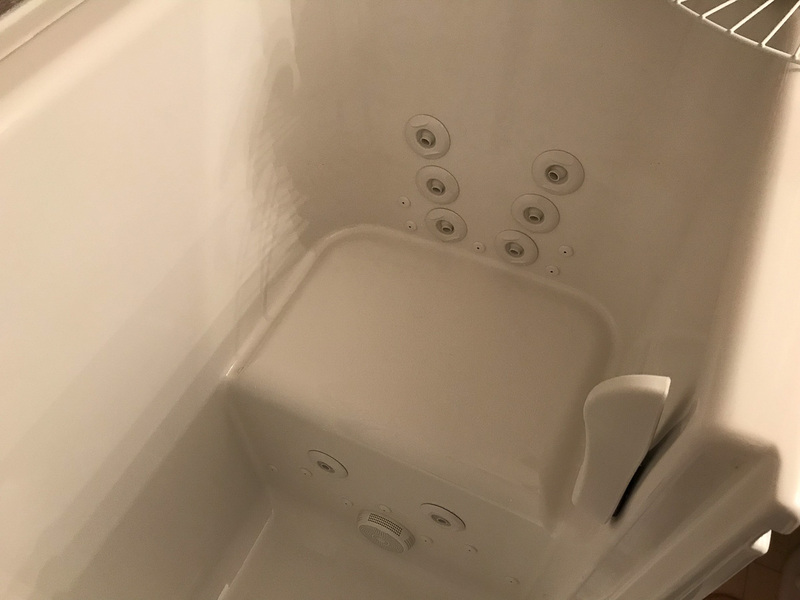 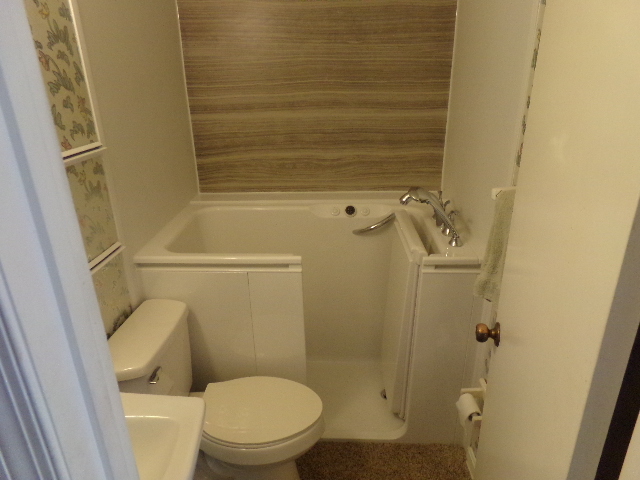 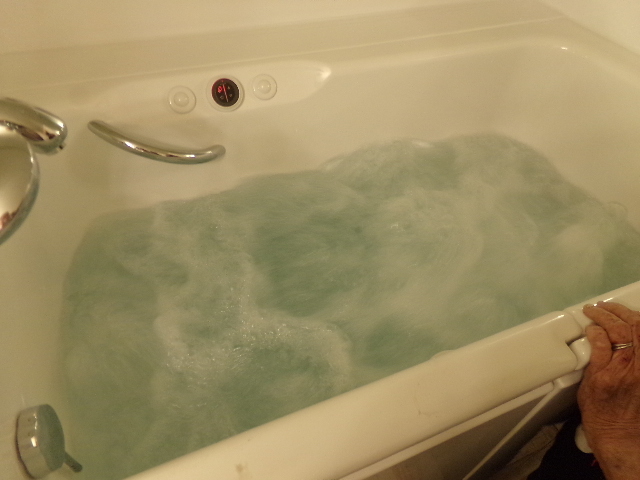 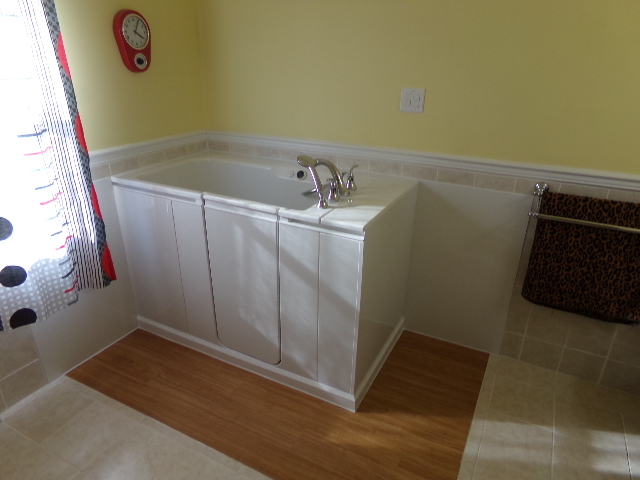 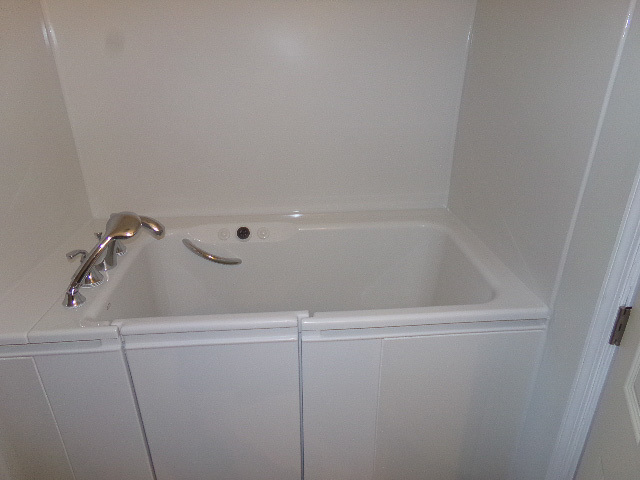 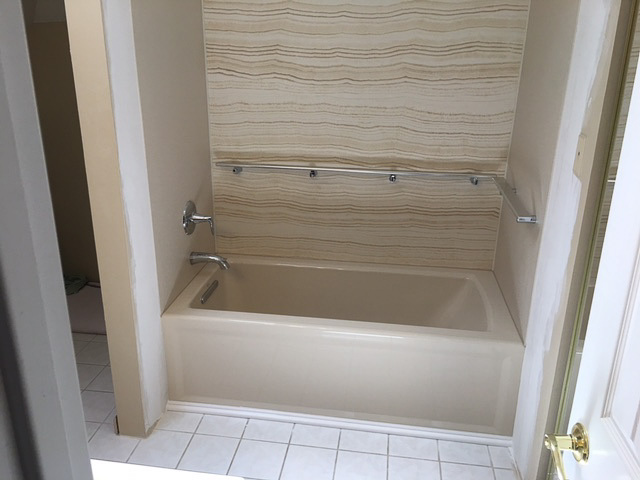 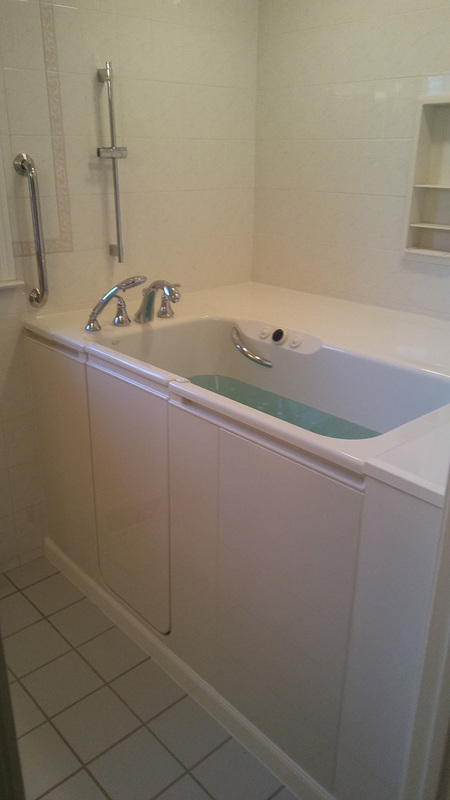 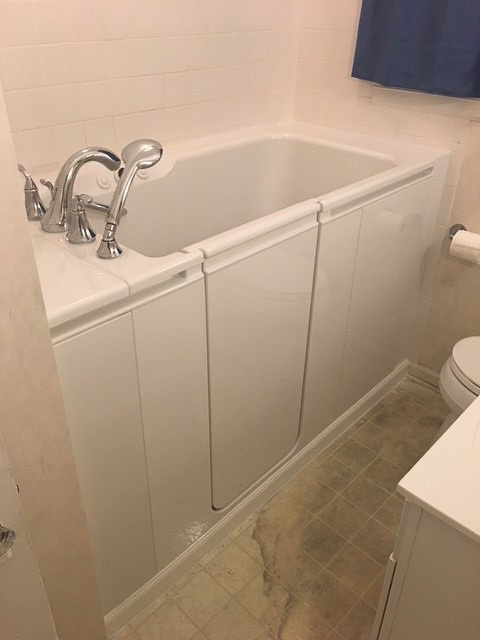 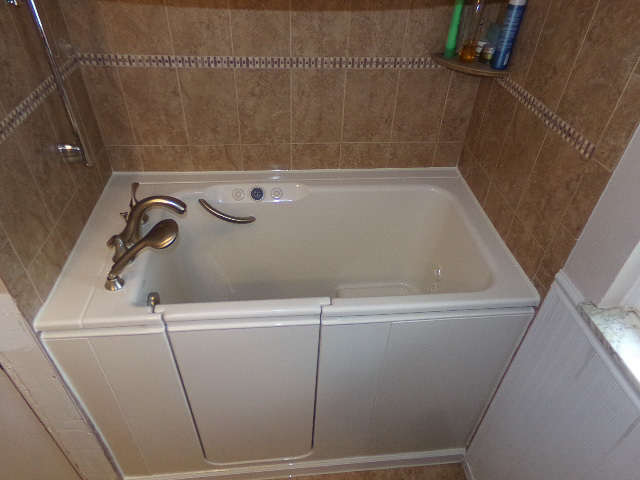 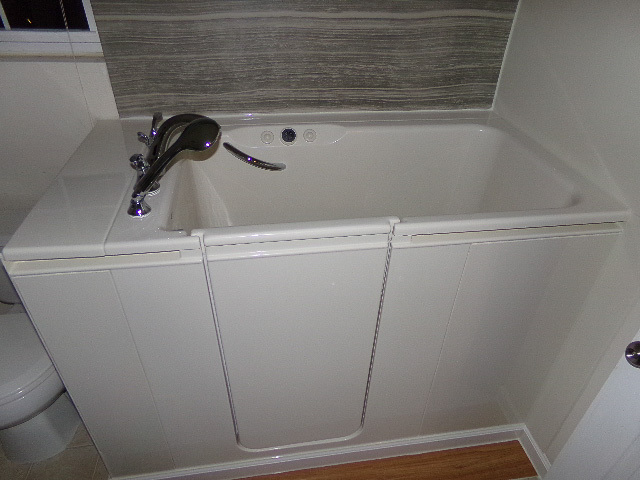 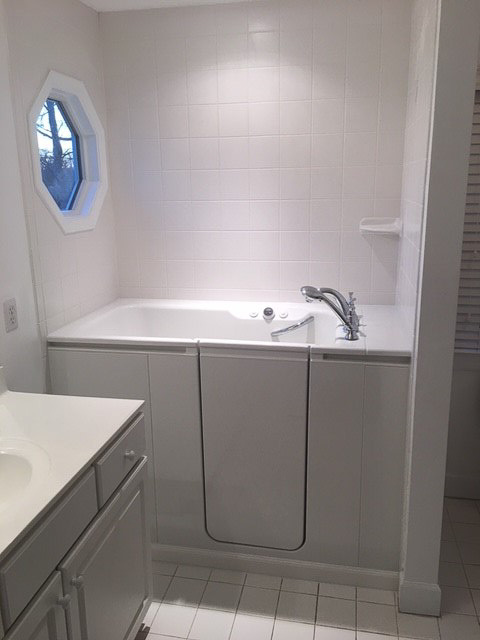 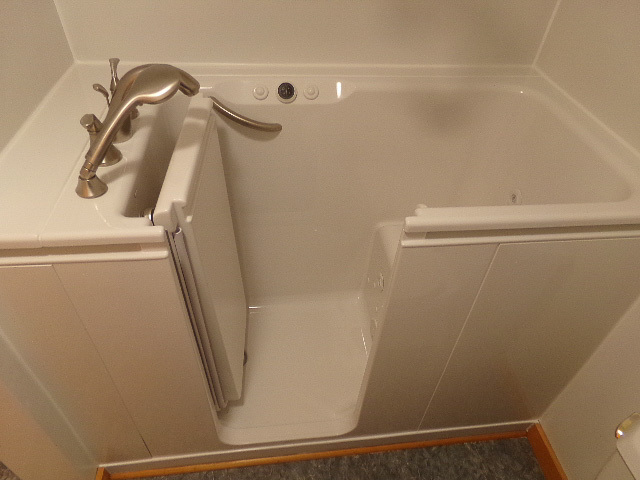 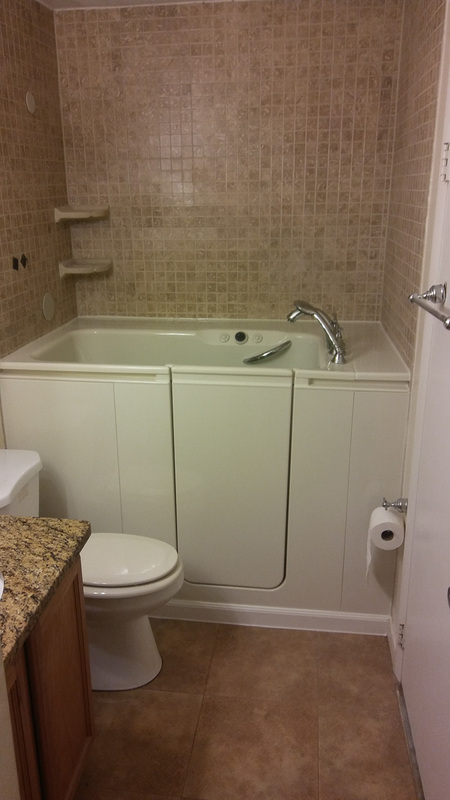 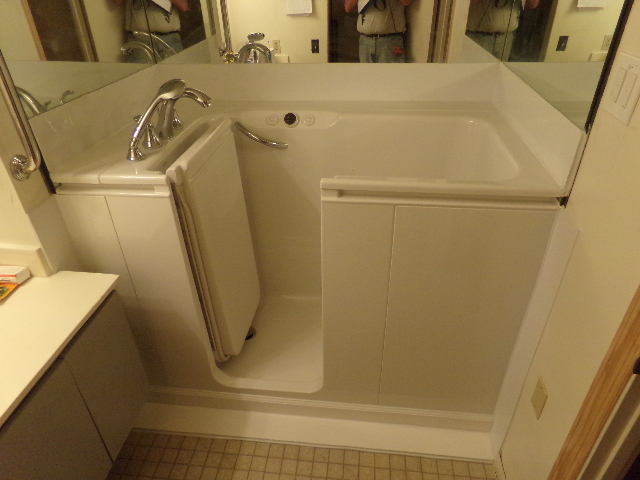 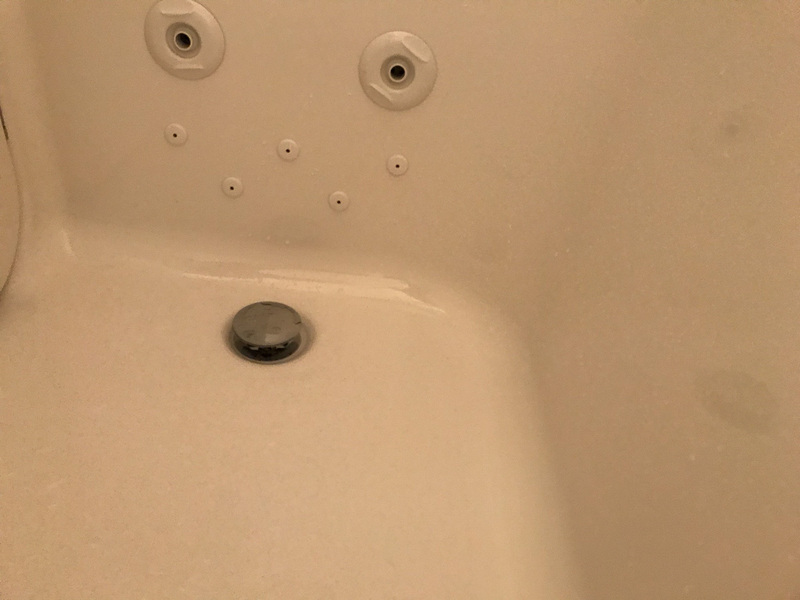 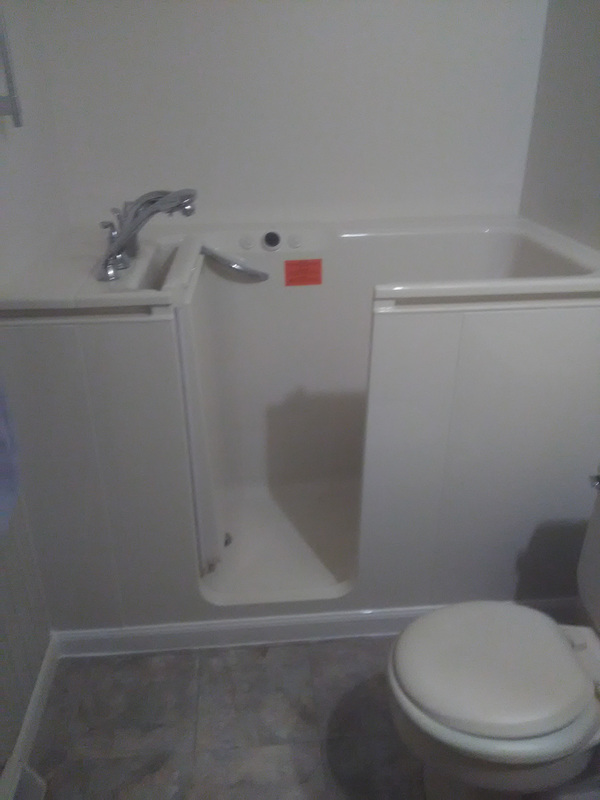 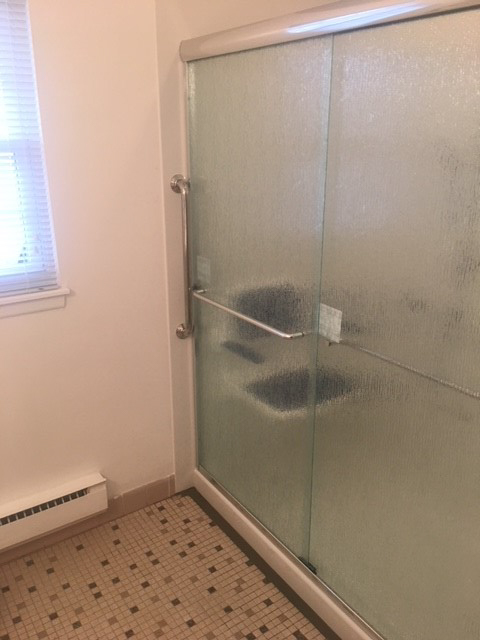 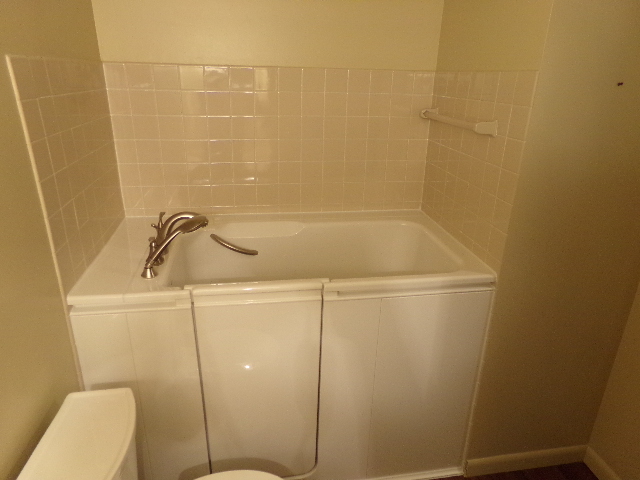 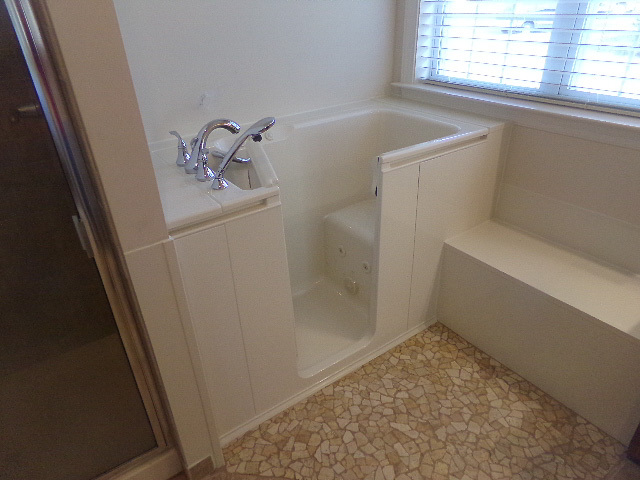 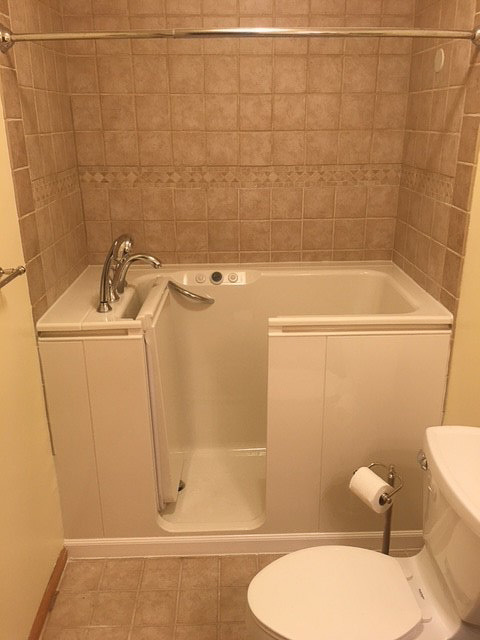 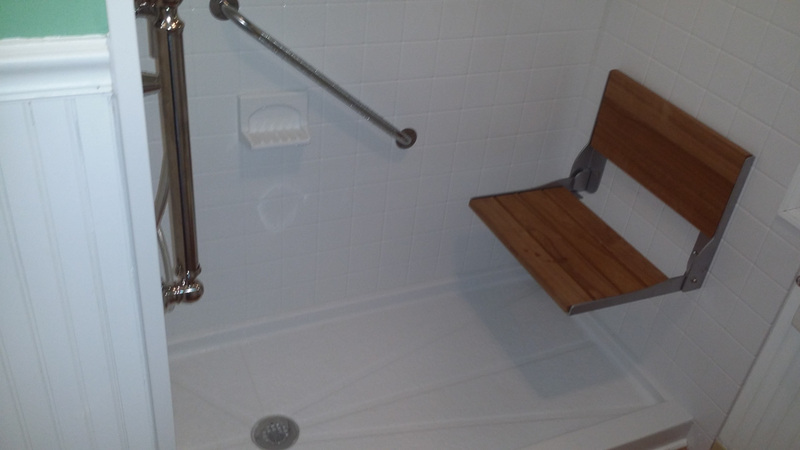 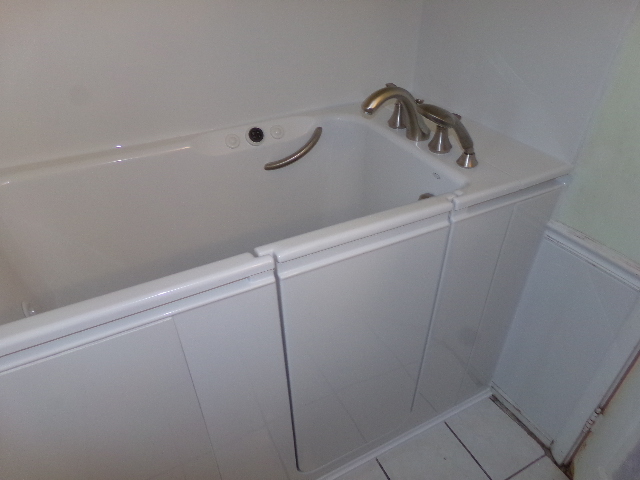 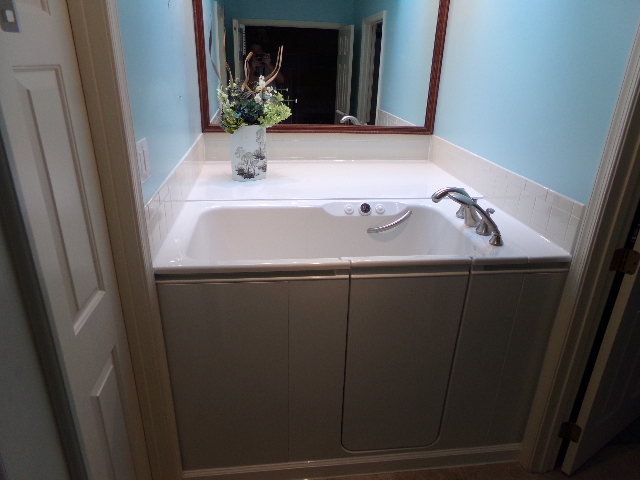 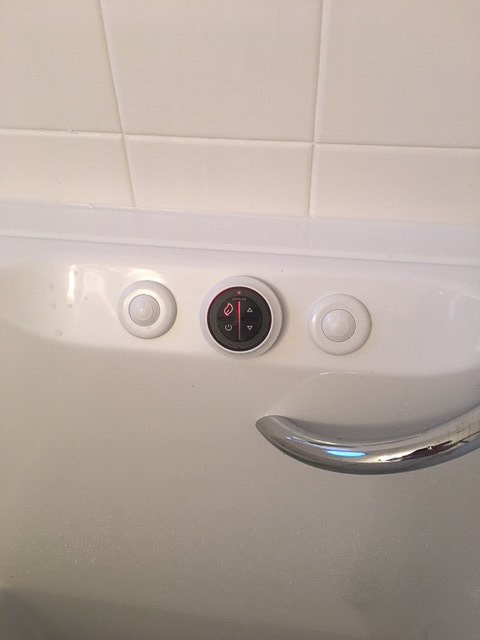 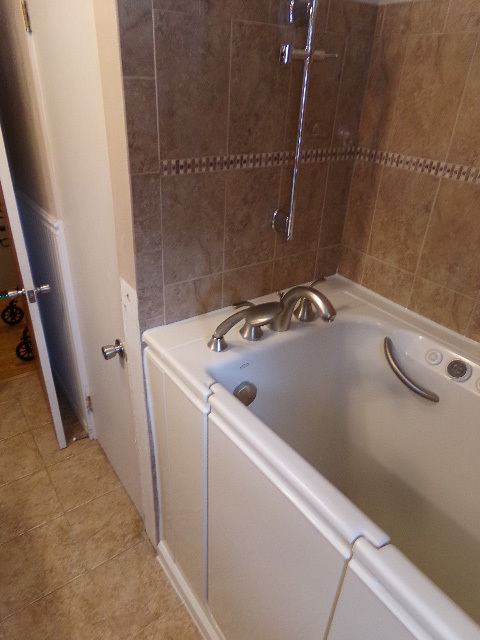 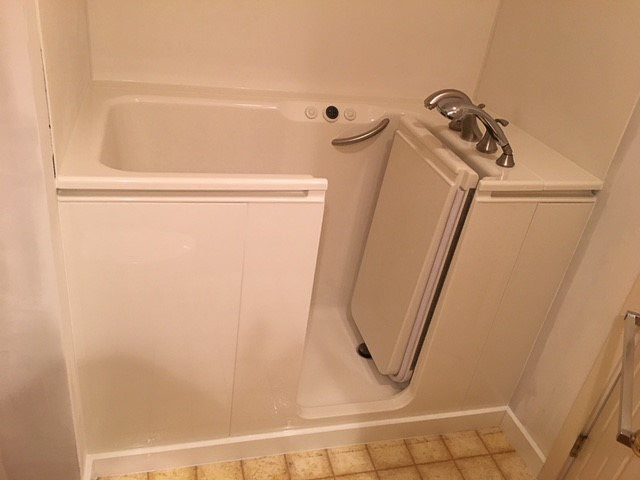 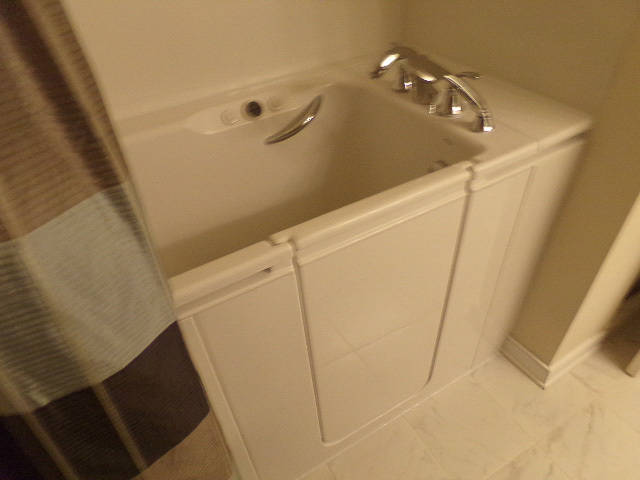 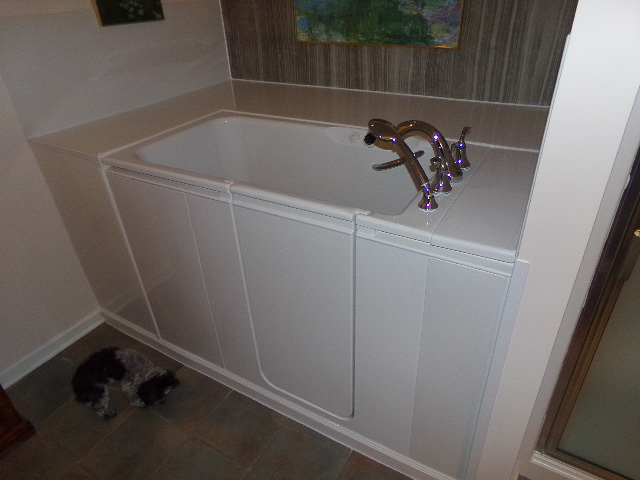 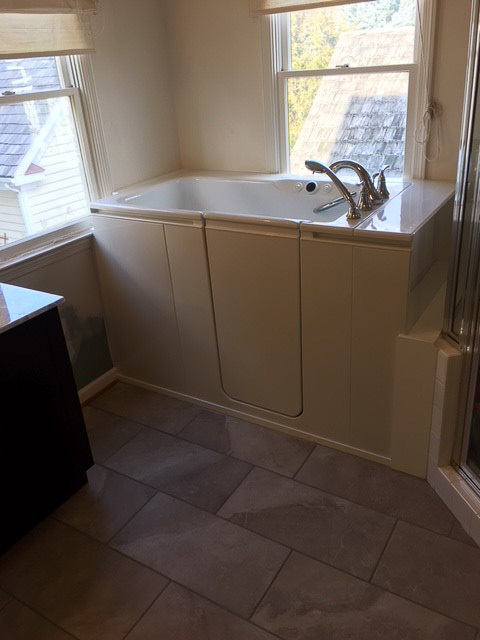 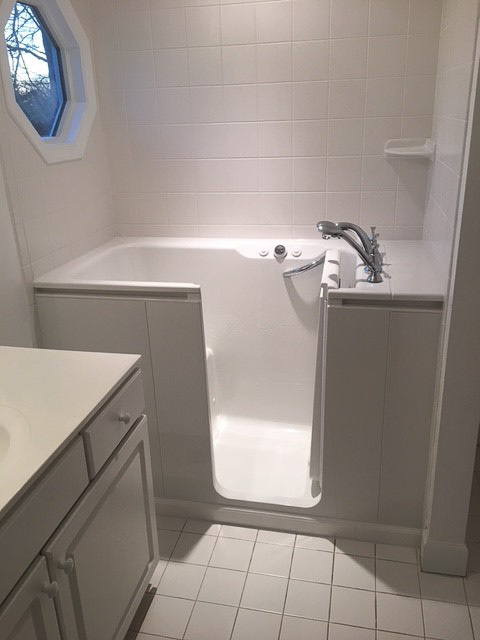 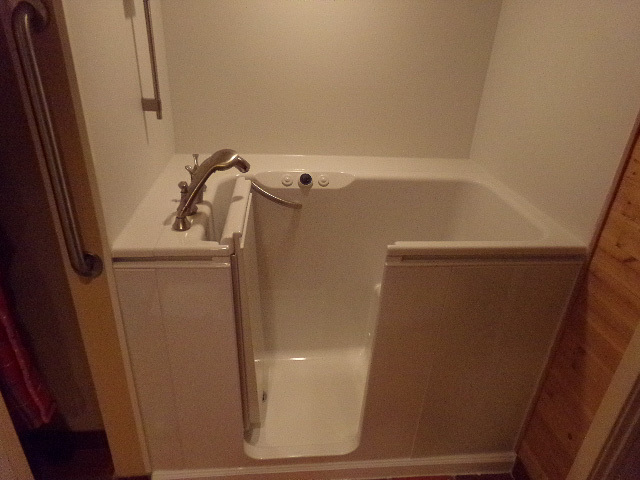 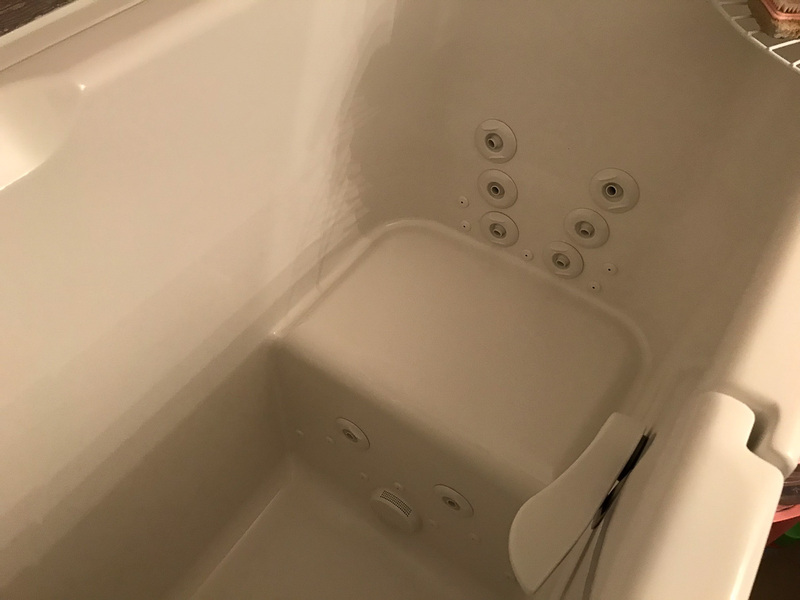 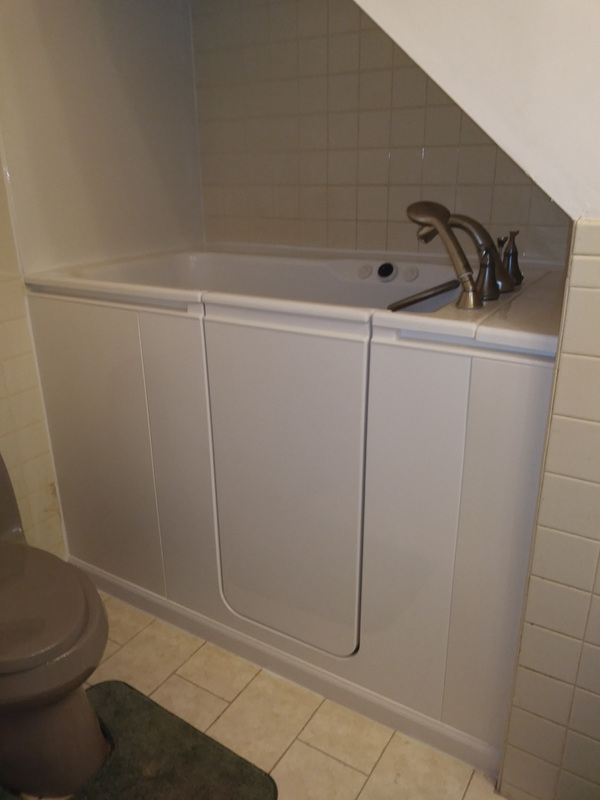 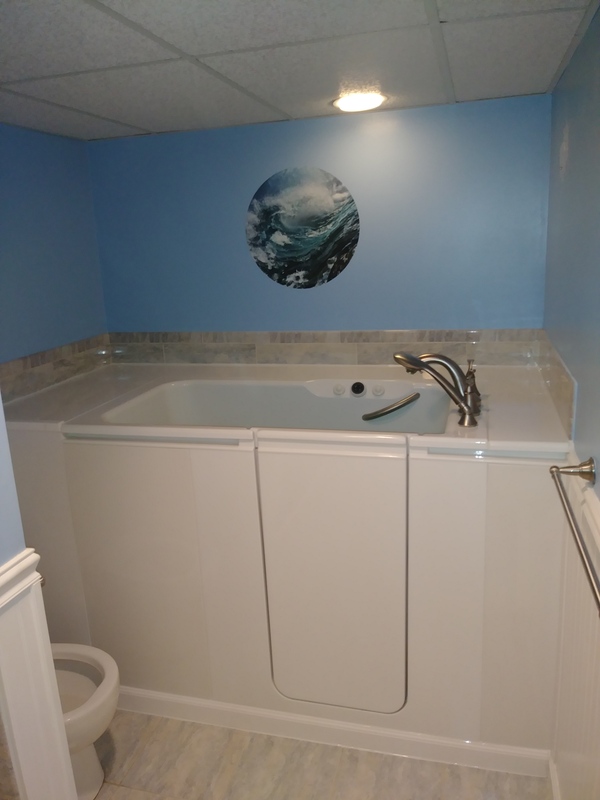 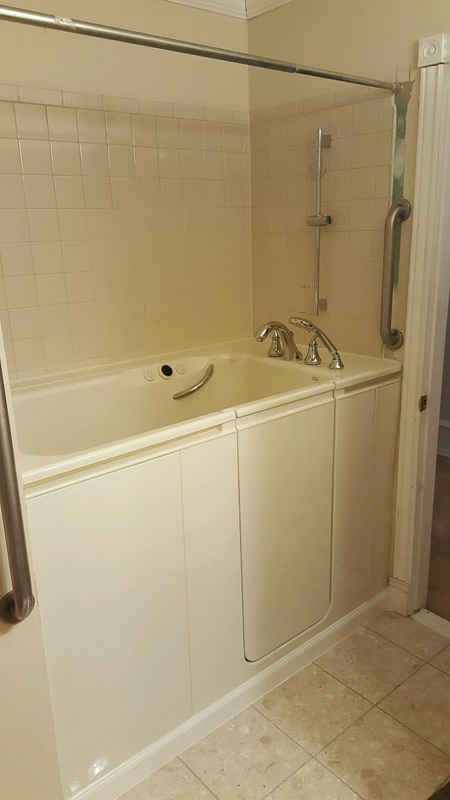 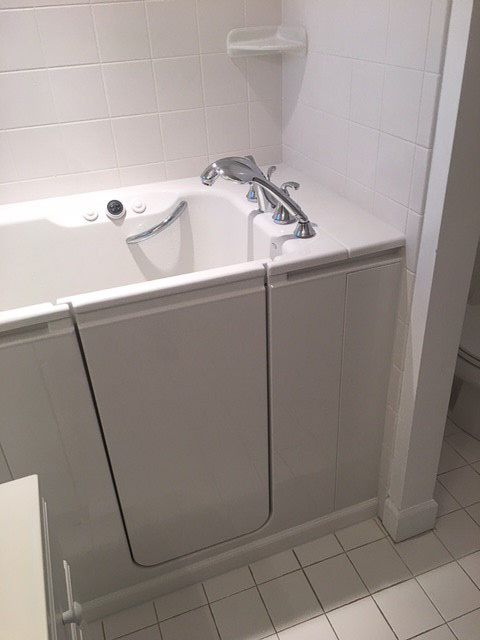 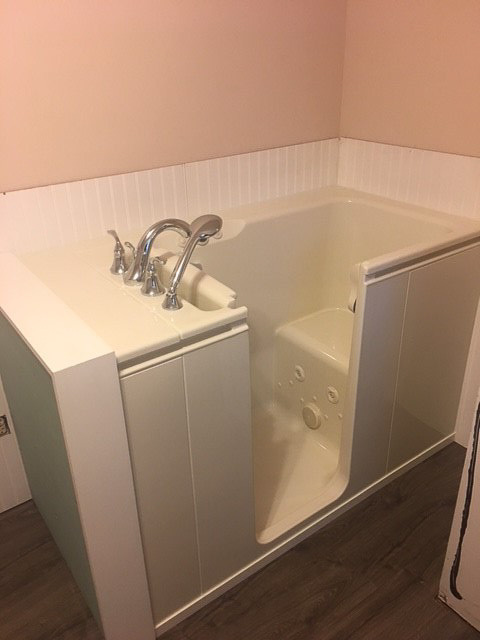 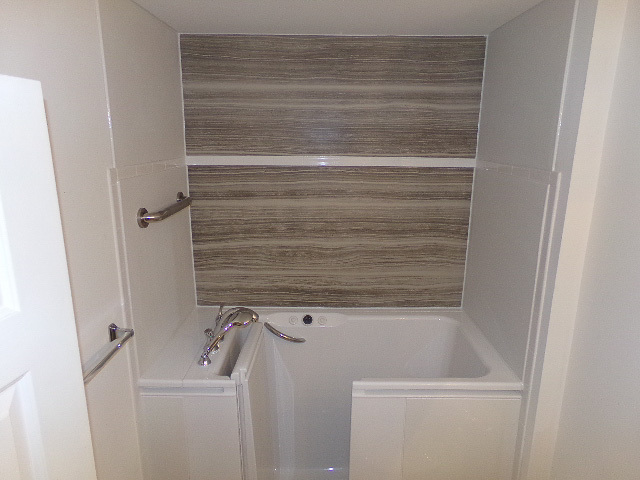 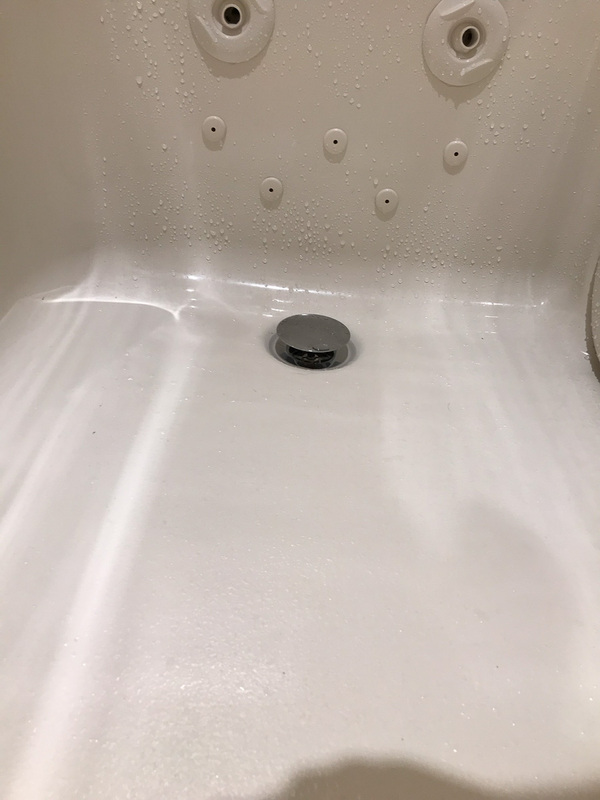 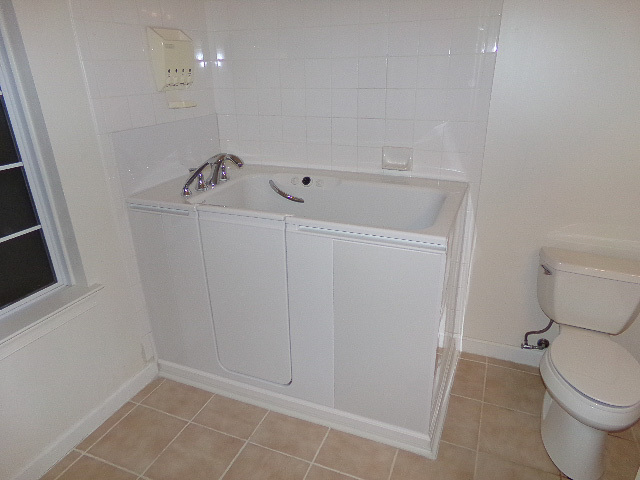 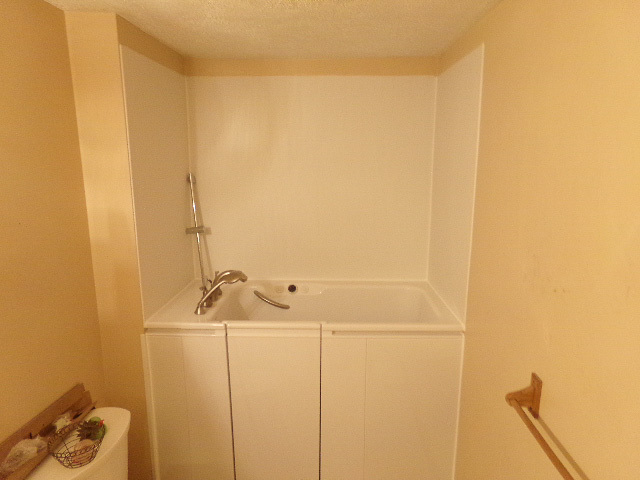 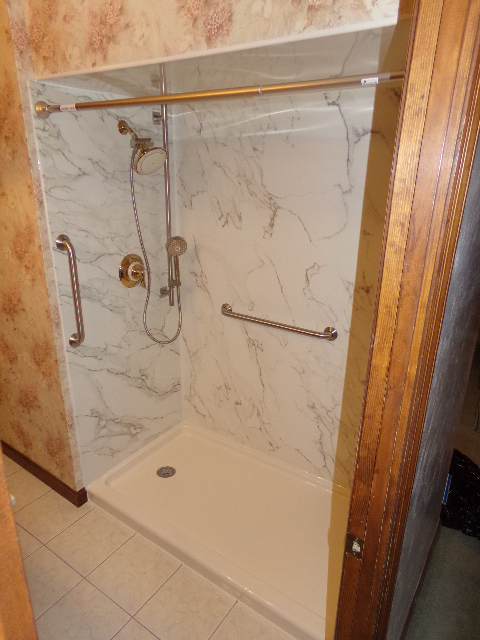 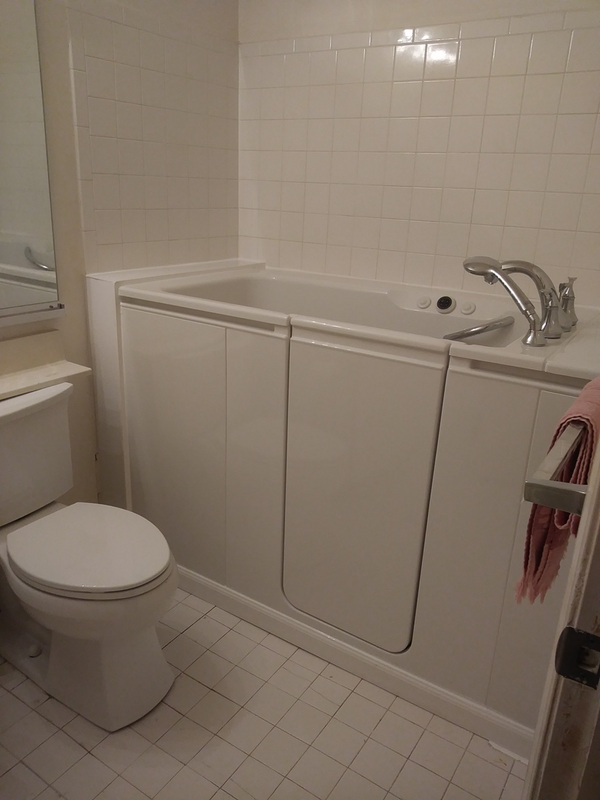 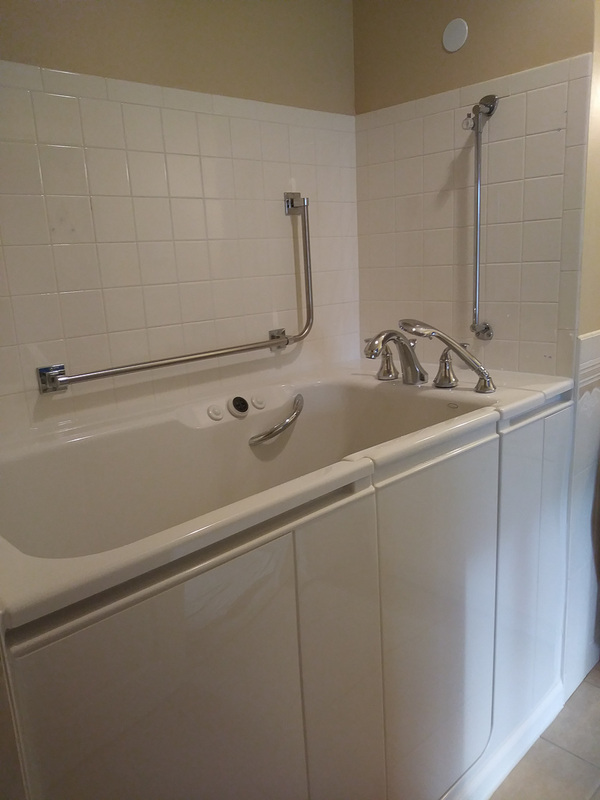 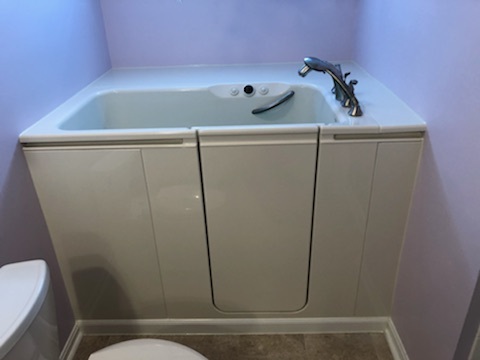 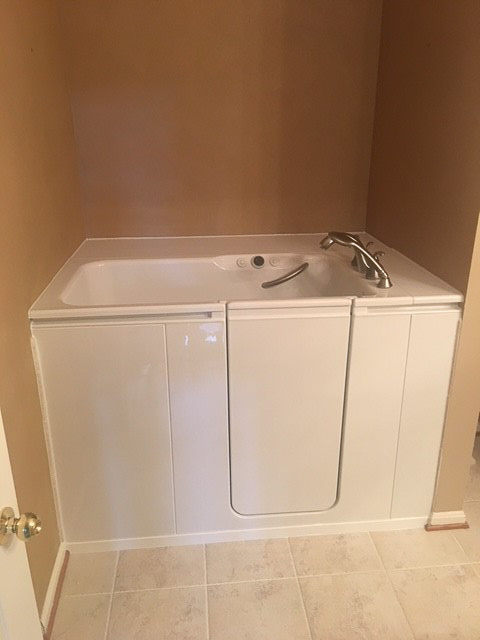 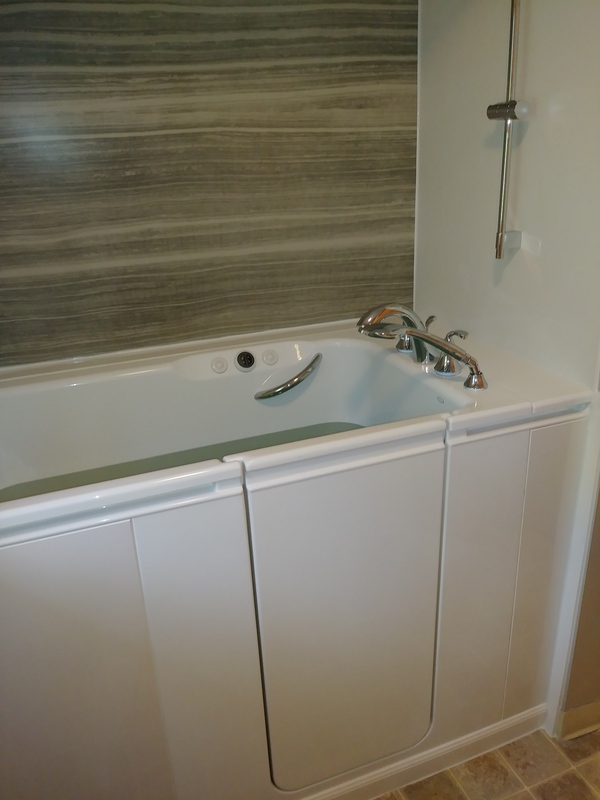 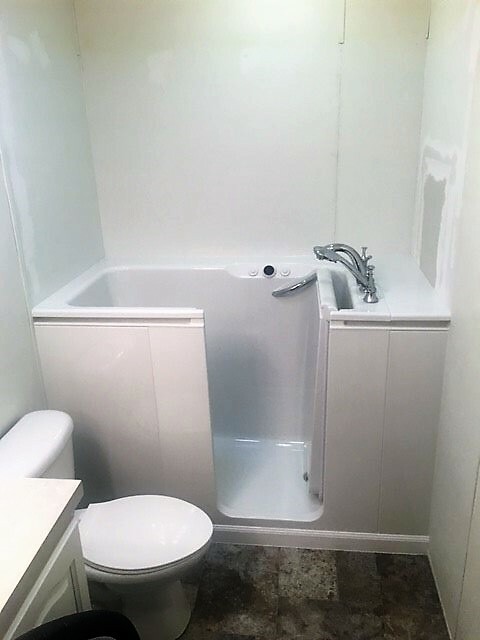 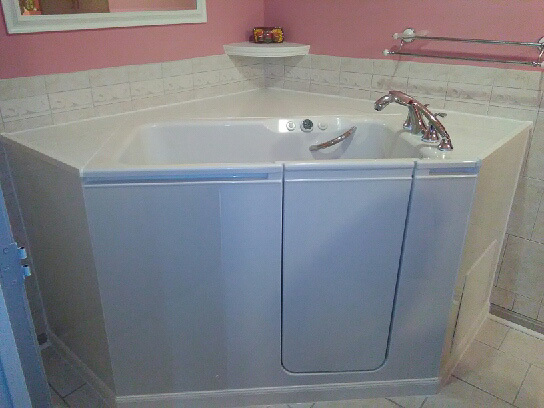 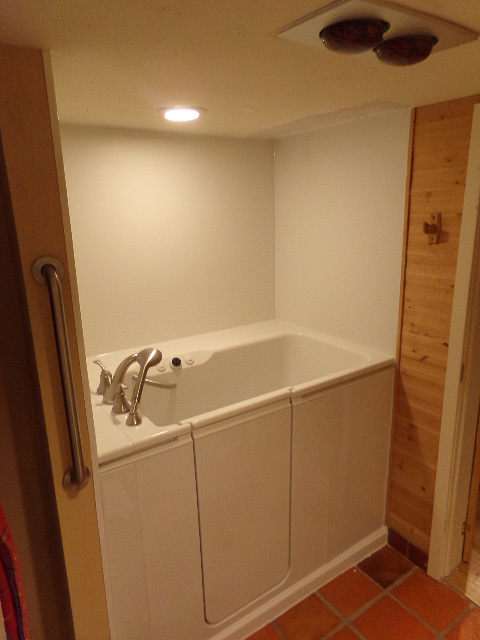 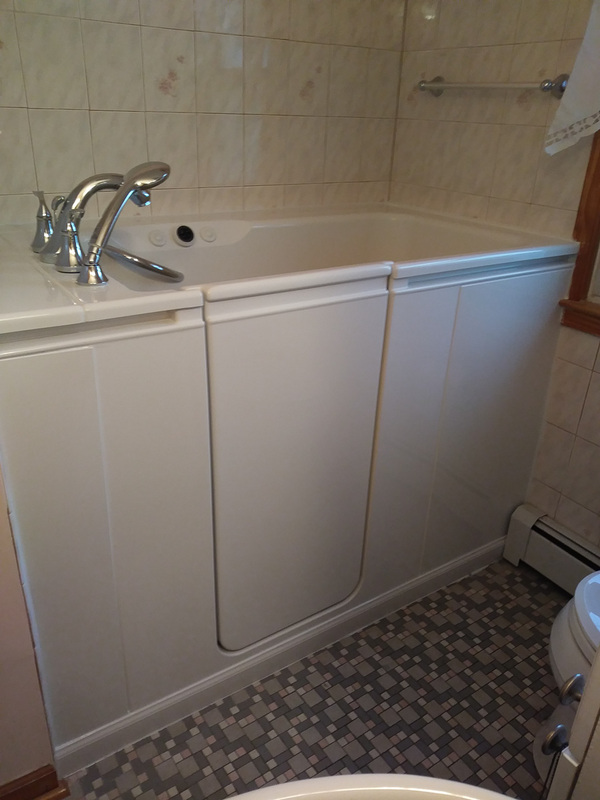 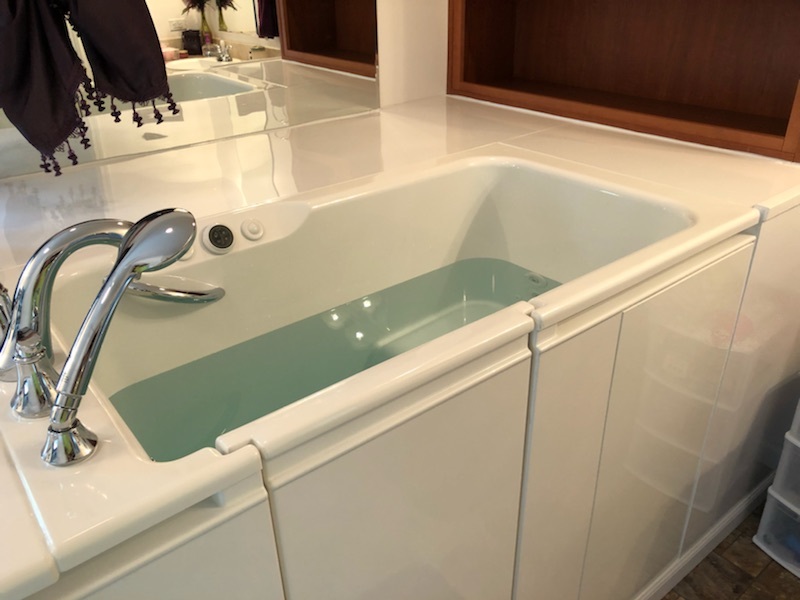 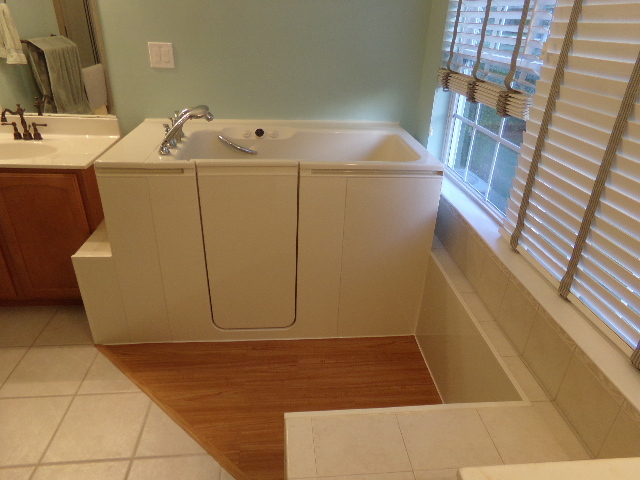 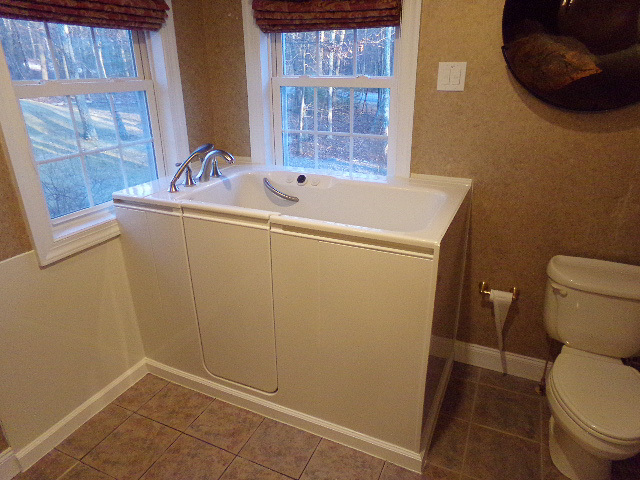 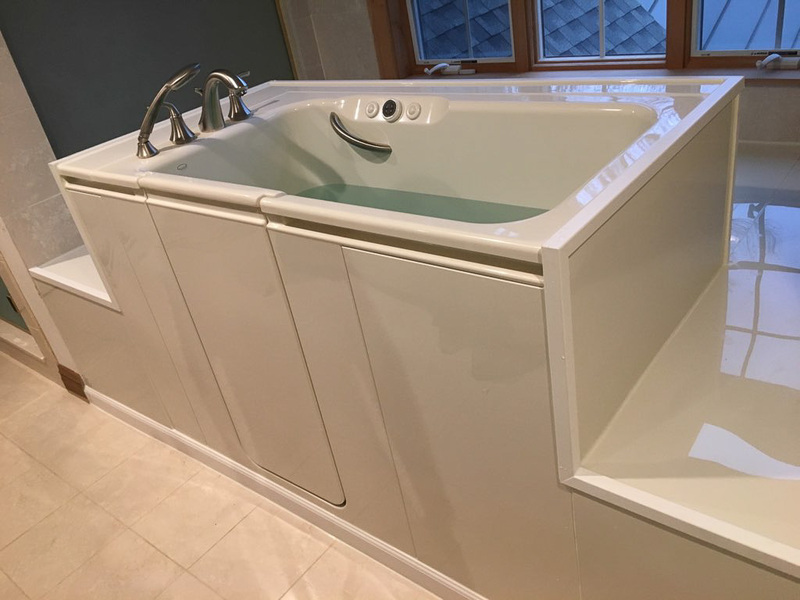 Bathtub replacement – We will remove your existing bathtub and install a new one in the color and style of your choice. 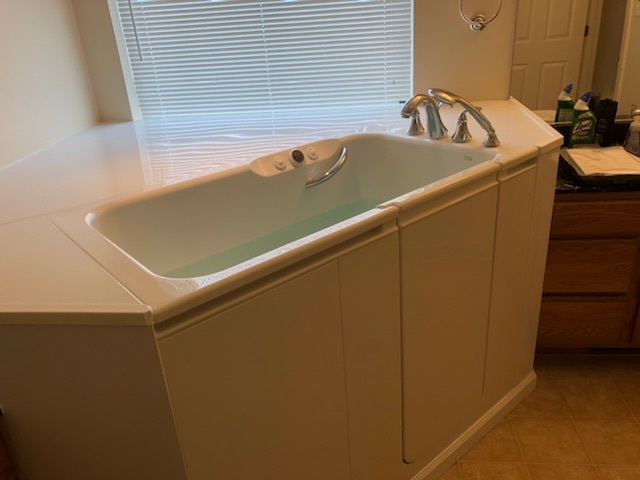 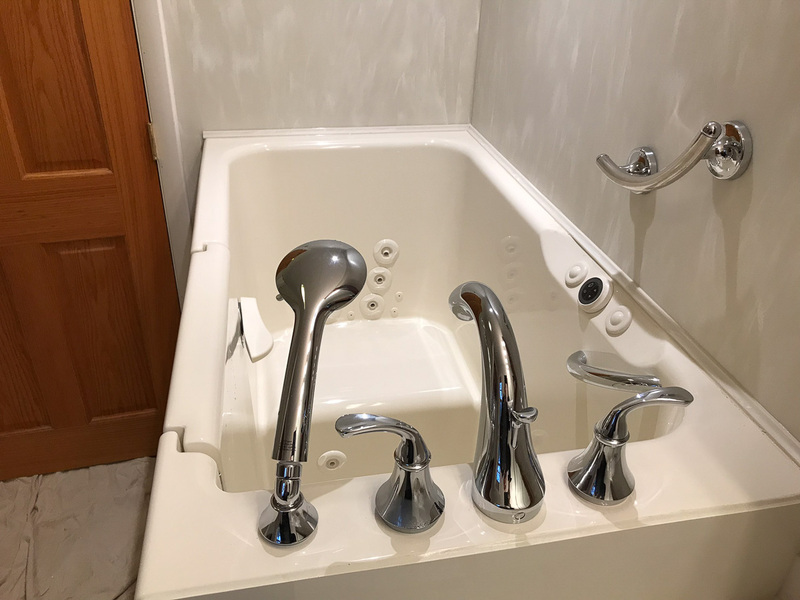 This bathroom remodel will not only make the space look more attractive, but also minimize any upkeep requirements since your new tub will be made of easy-to-clean acrylic. 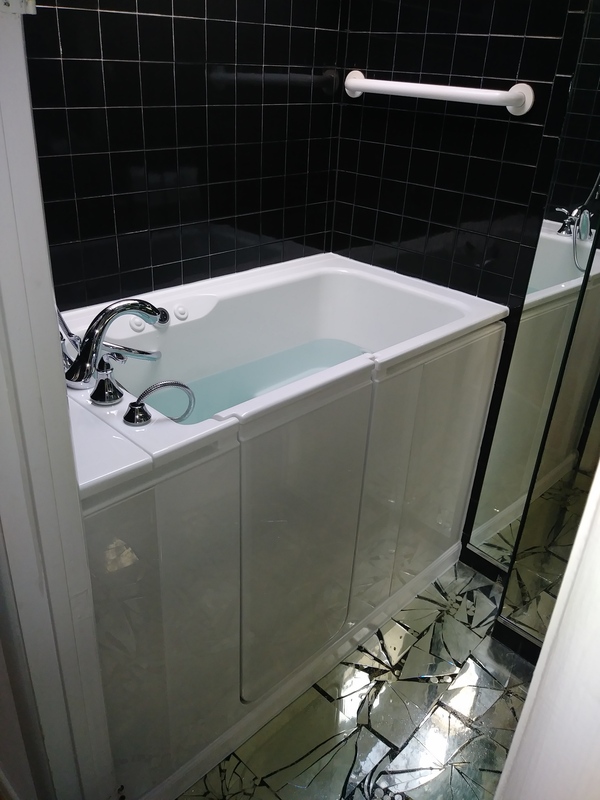 Bathtub conversion – Whether you want to convert your bathtub into a shower or vice versa, we can transform the space to your liking and install a wall surround that will give the entire wet area a brand-new look. 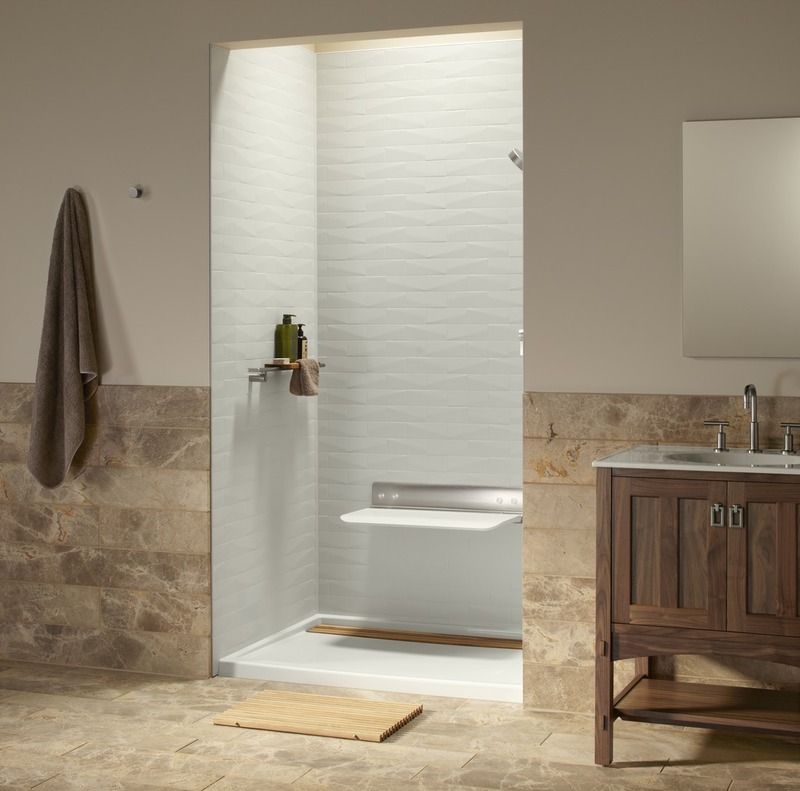 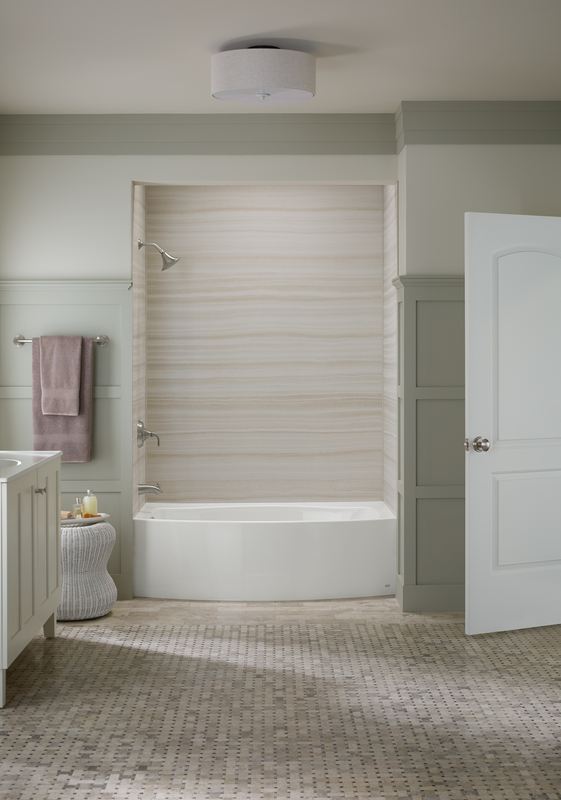 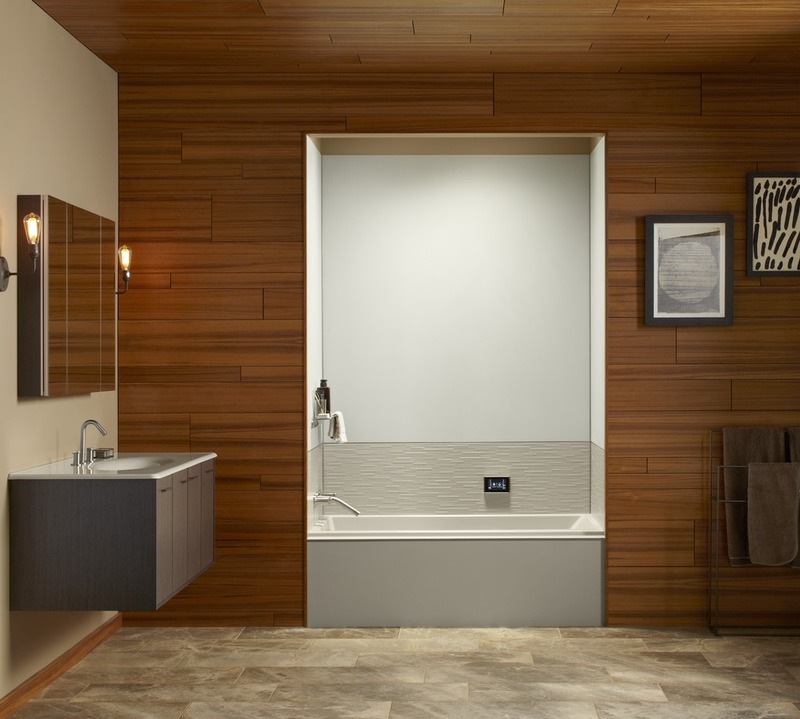 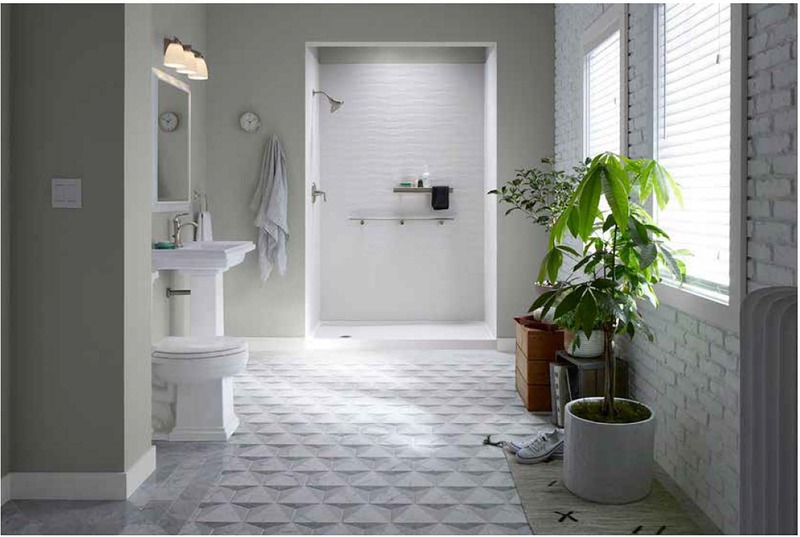 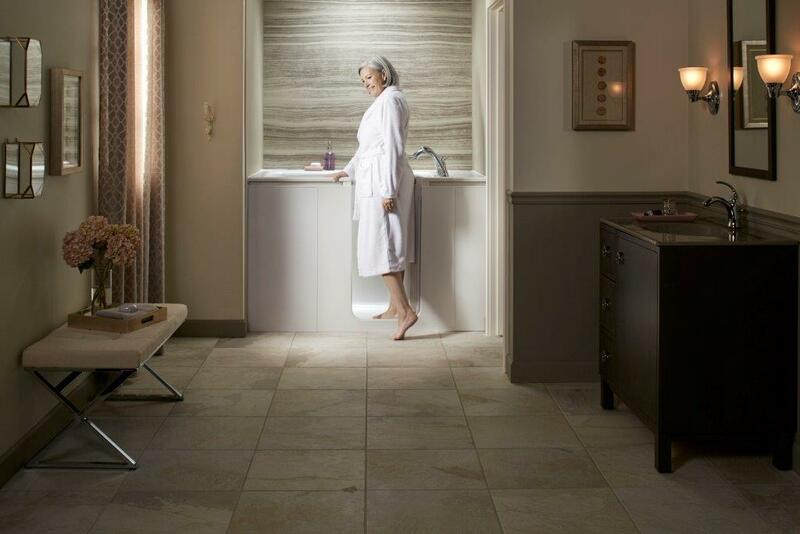 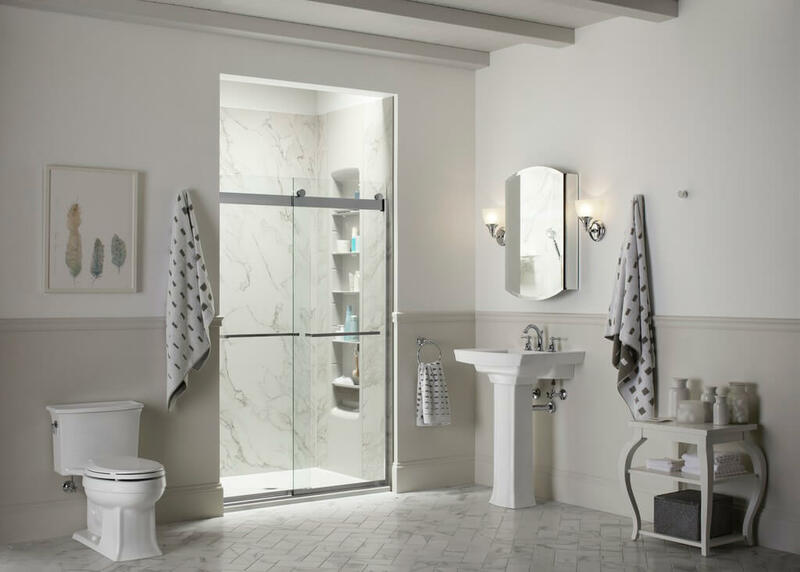 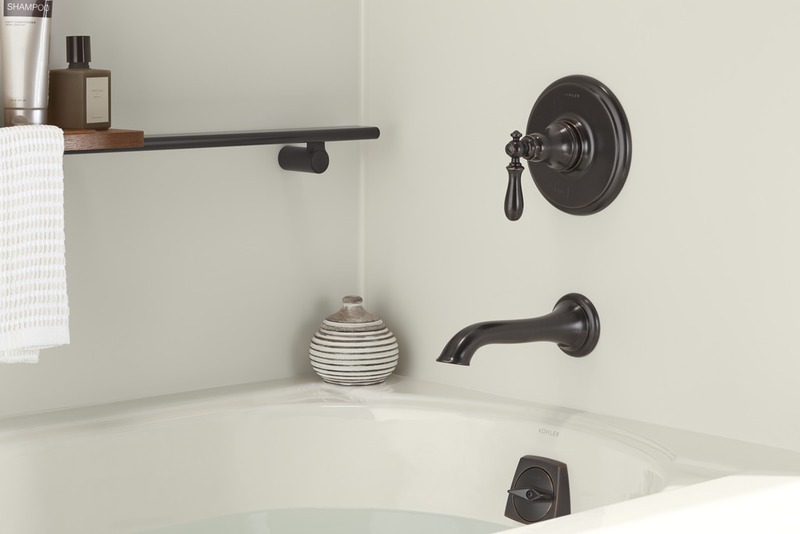 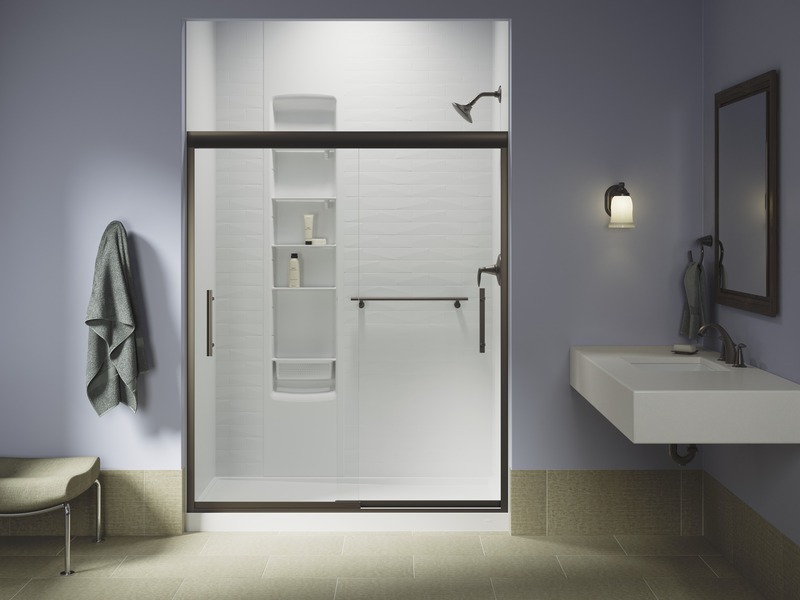 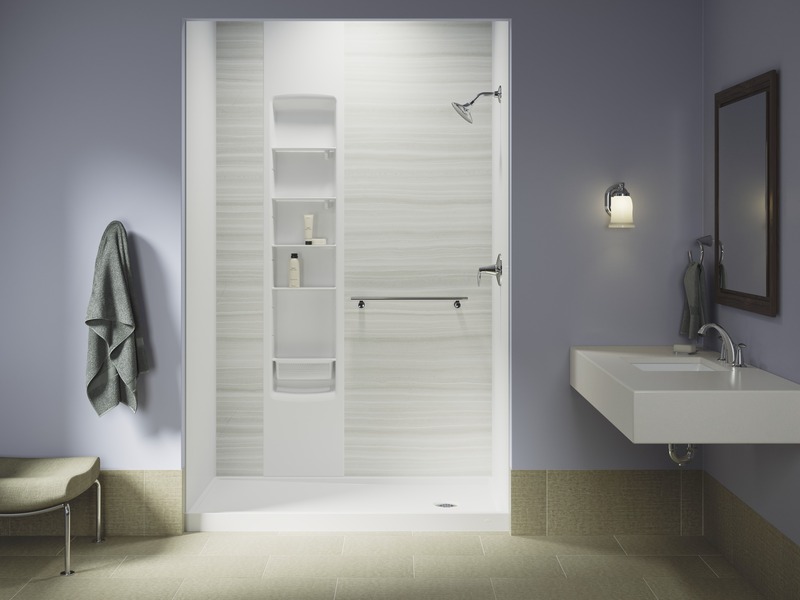 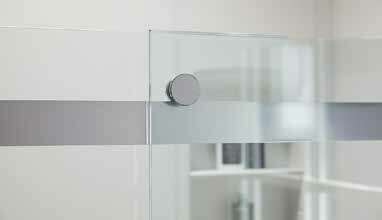 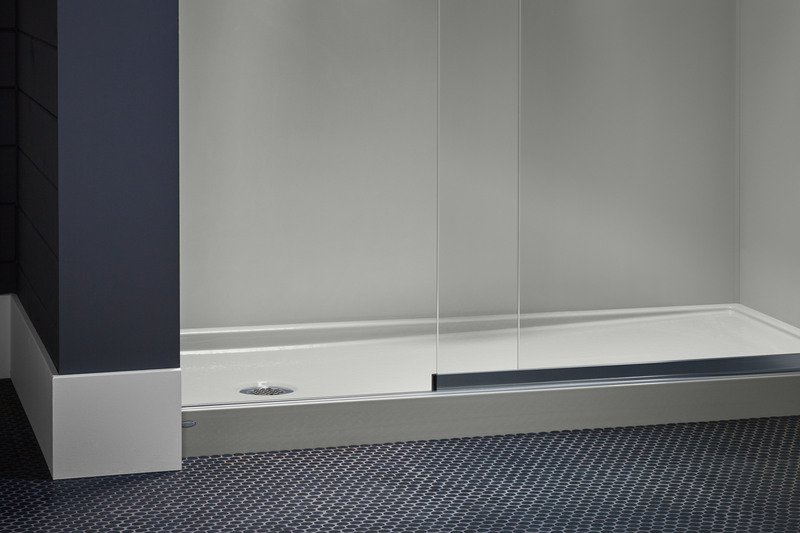 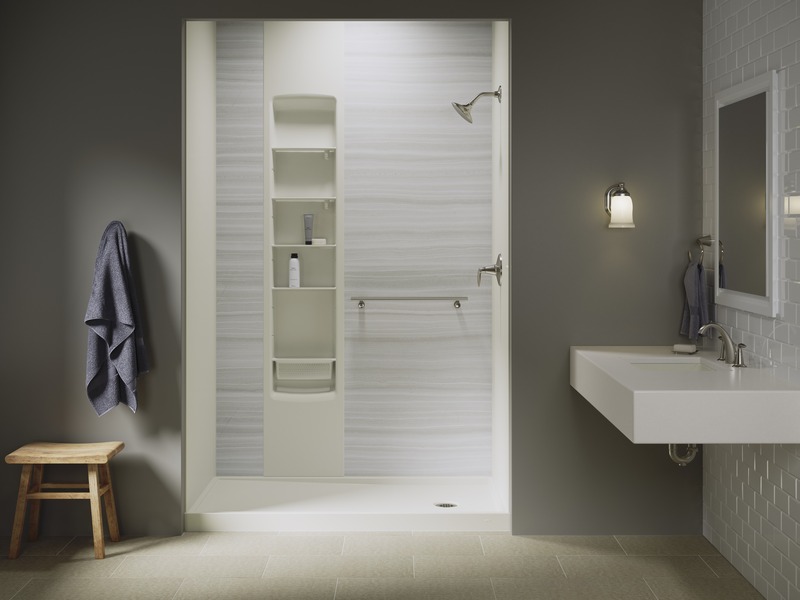 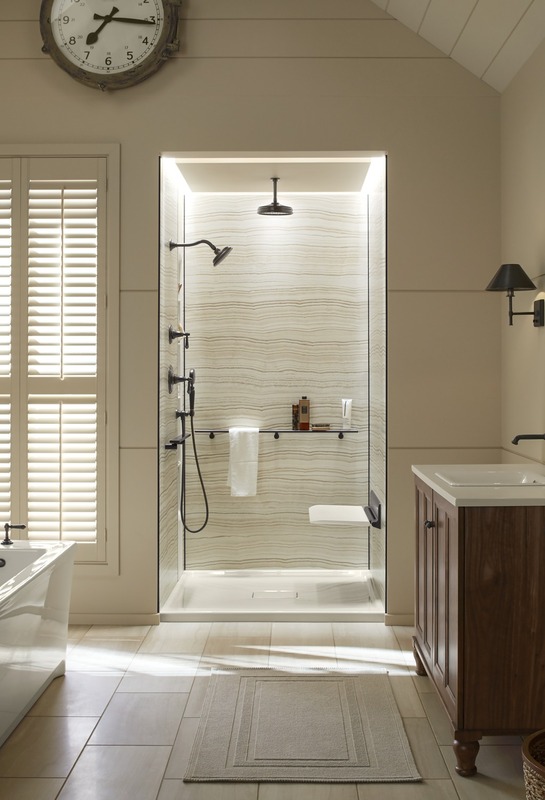 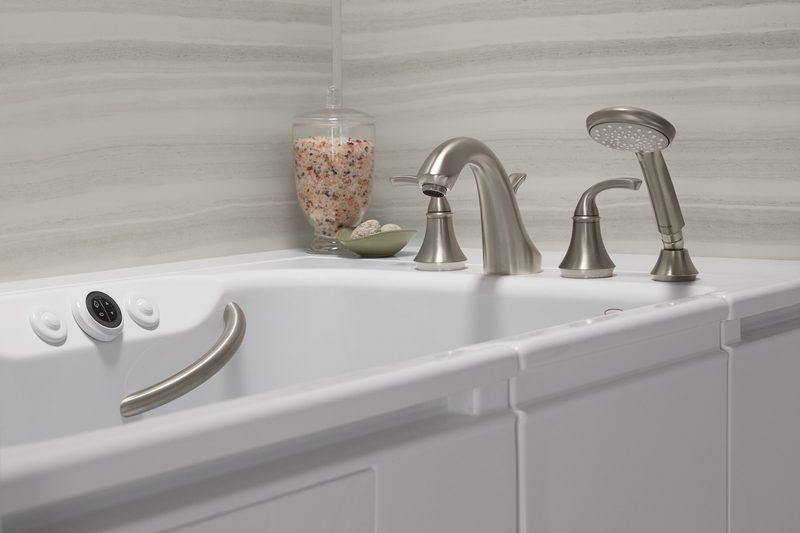 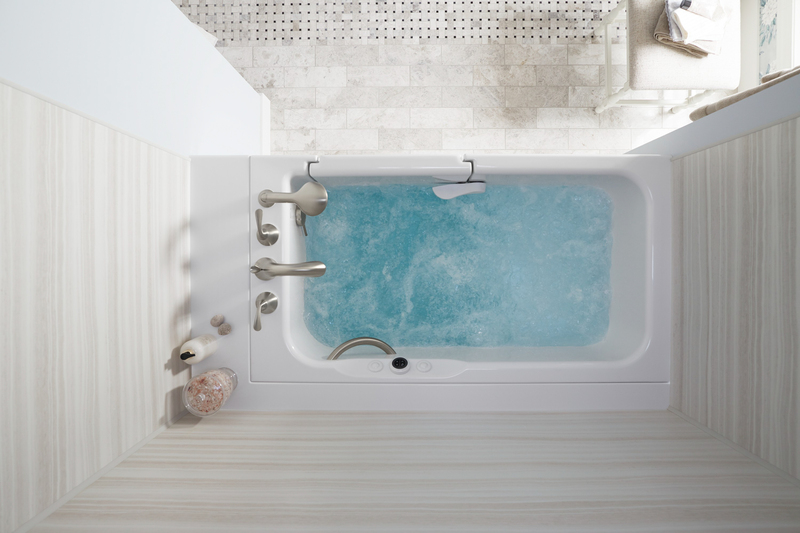 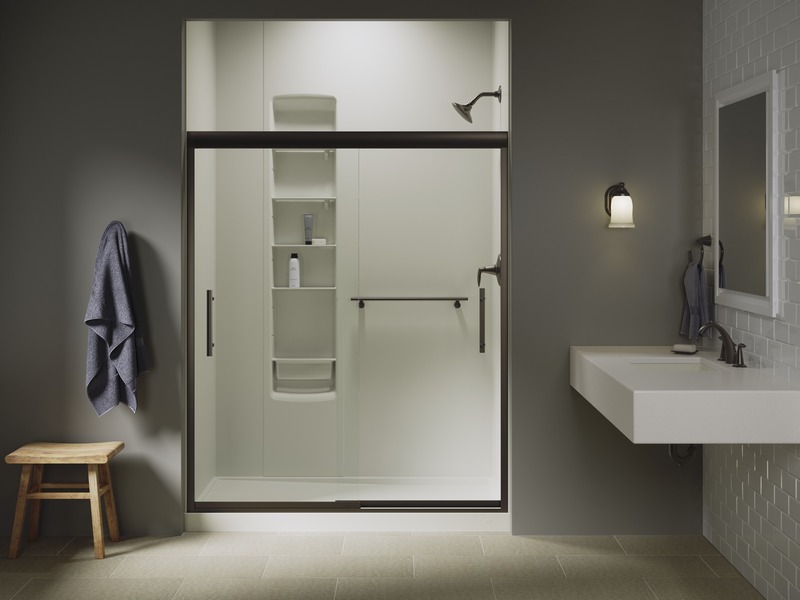 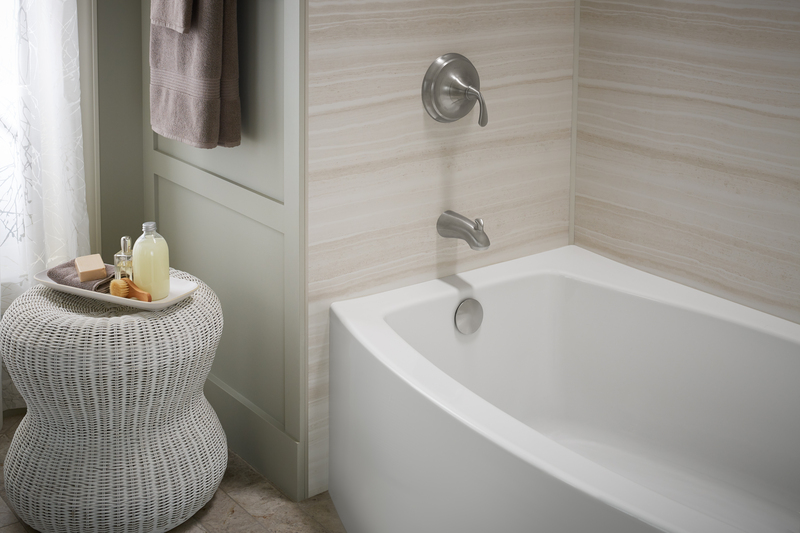 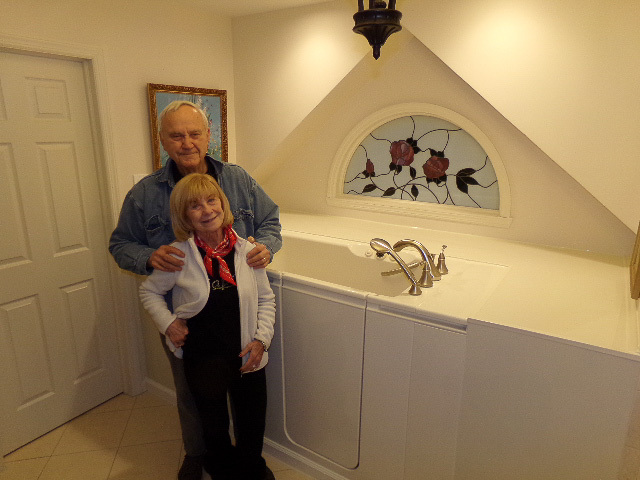 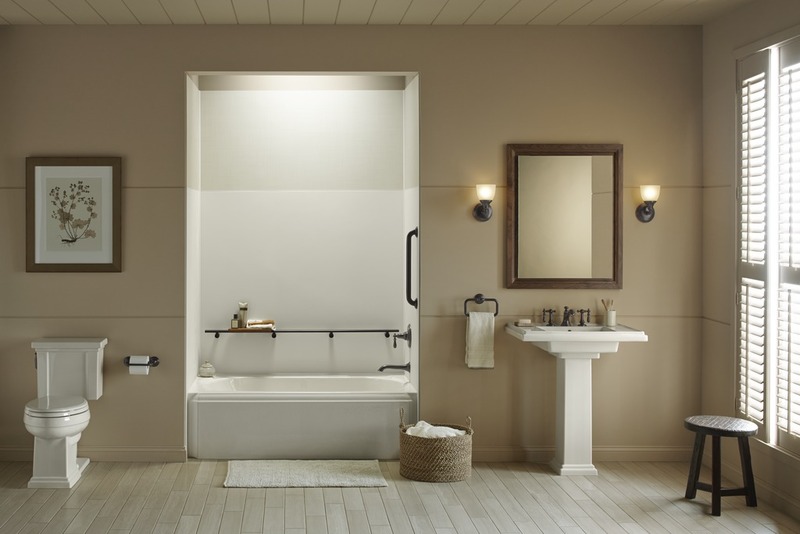 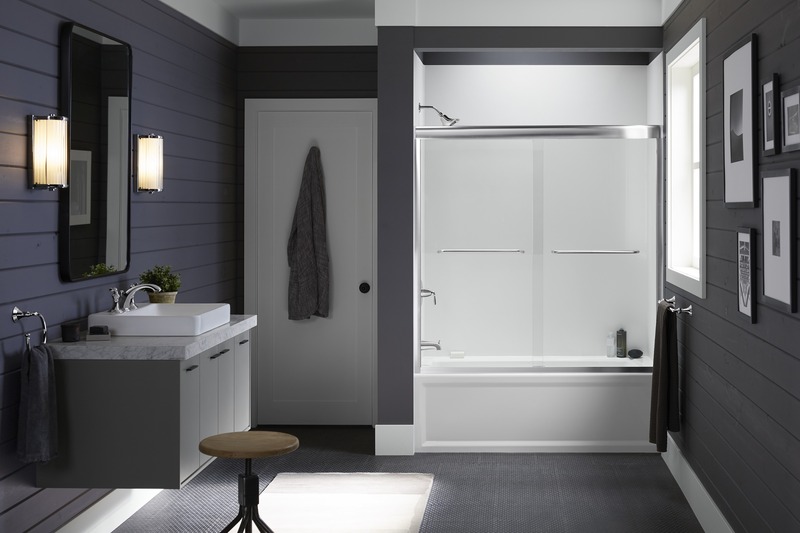 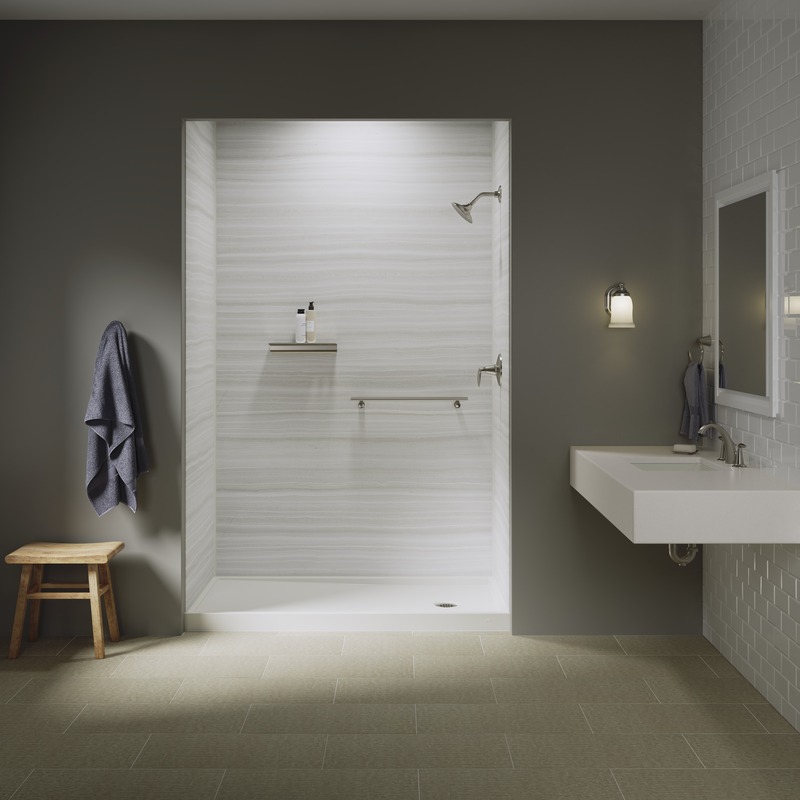 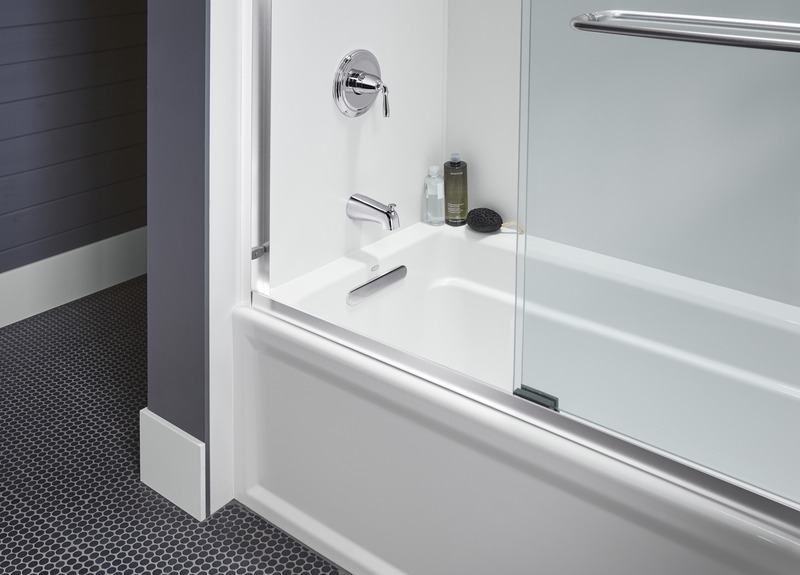 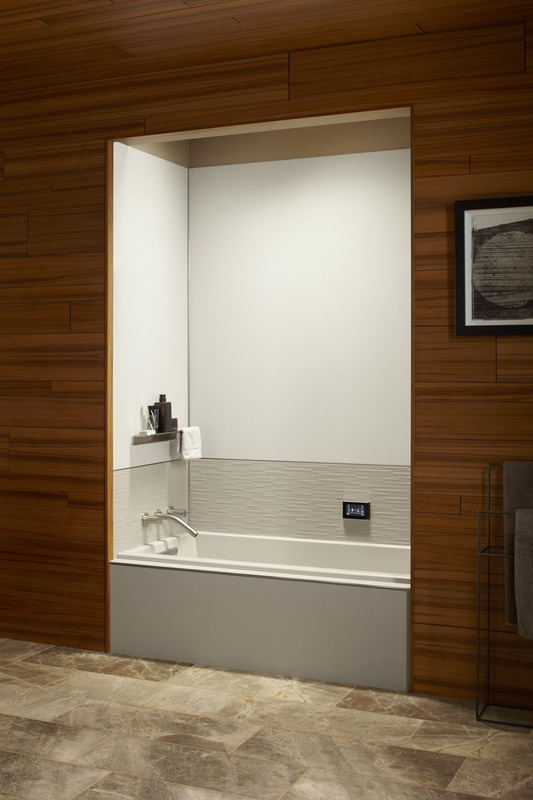 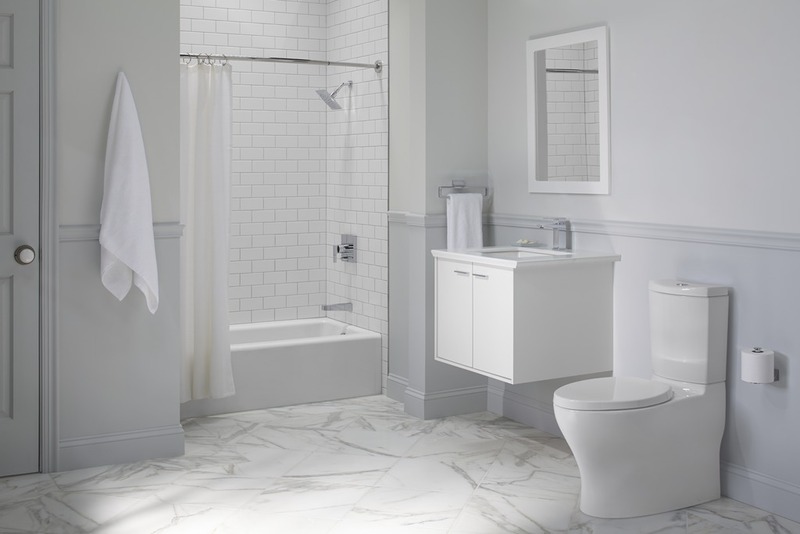 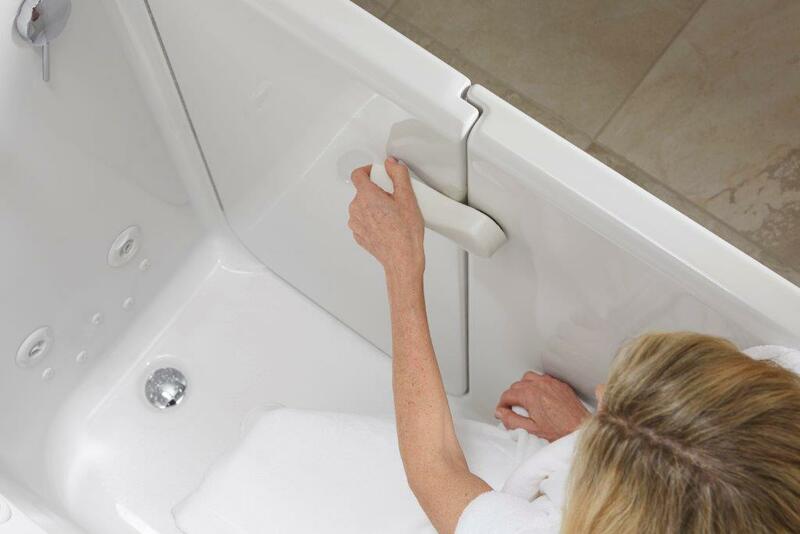 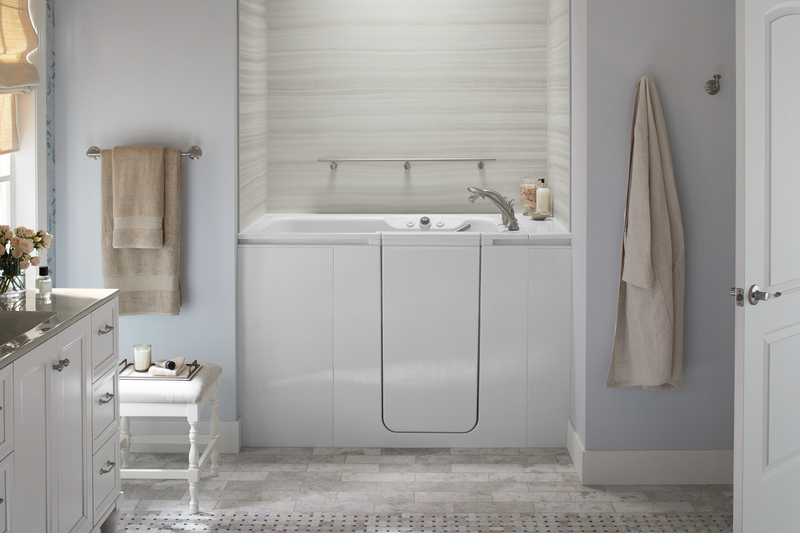 Walk-in tub installation – As a Kohler-certified dealer, we proudly offer the finest walk-in tubs available. 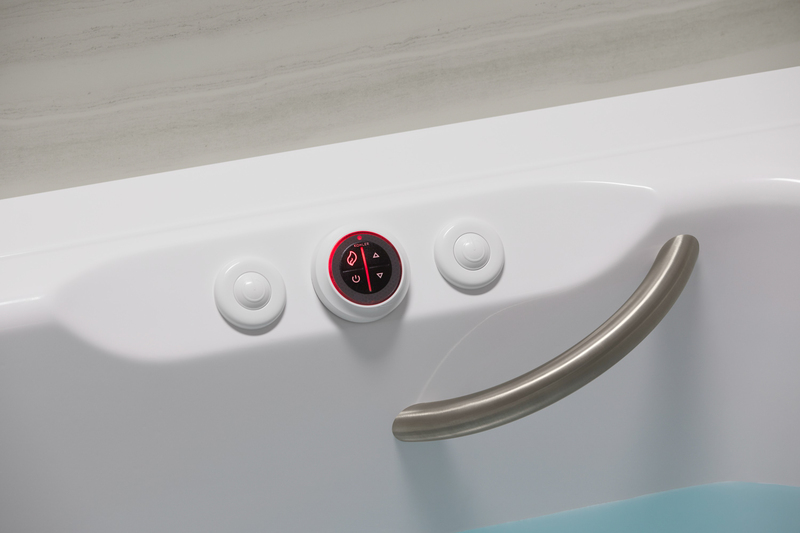 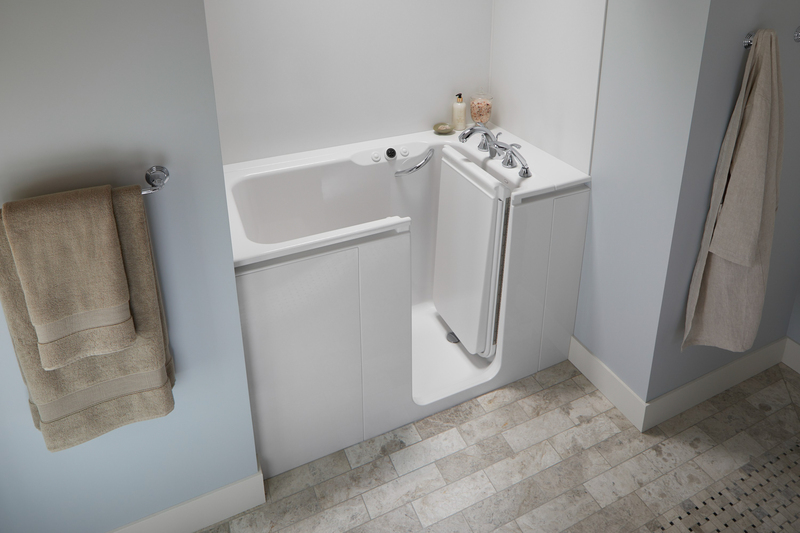 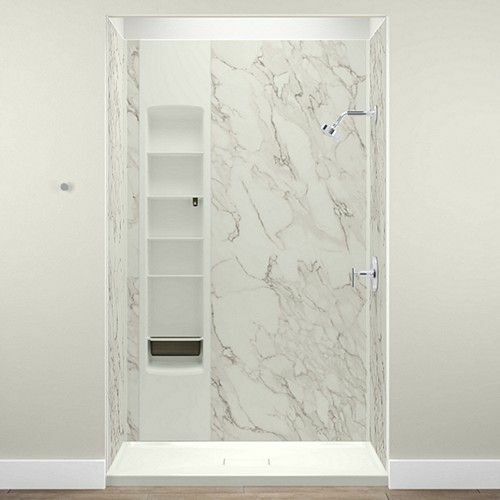 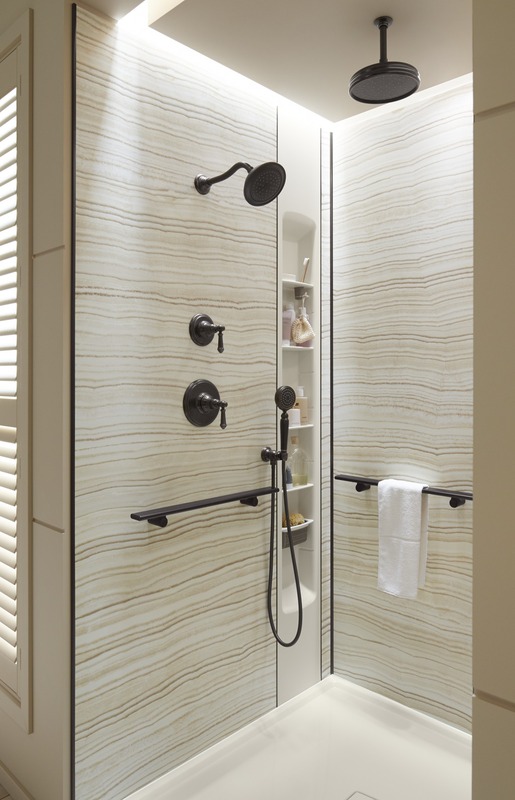 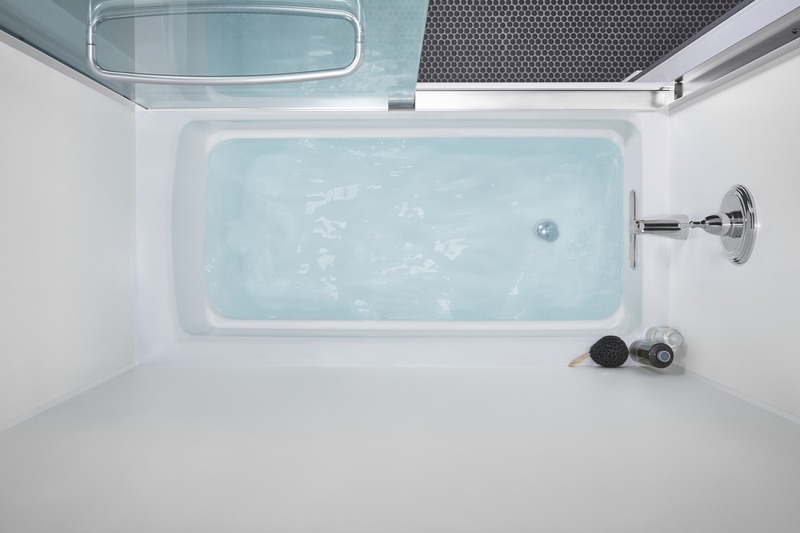 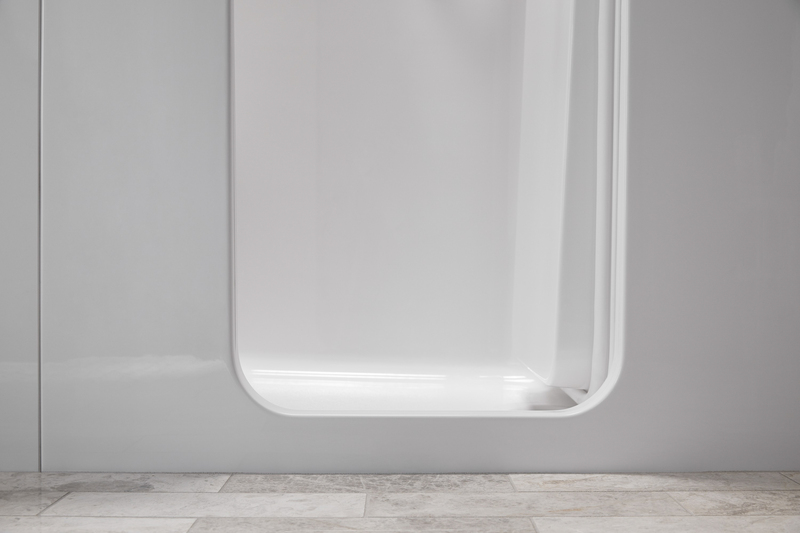 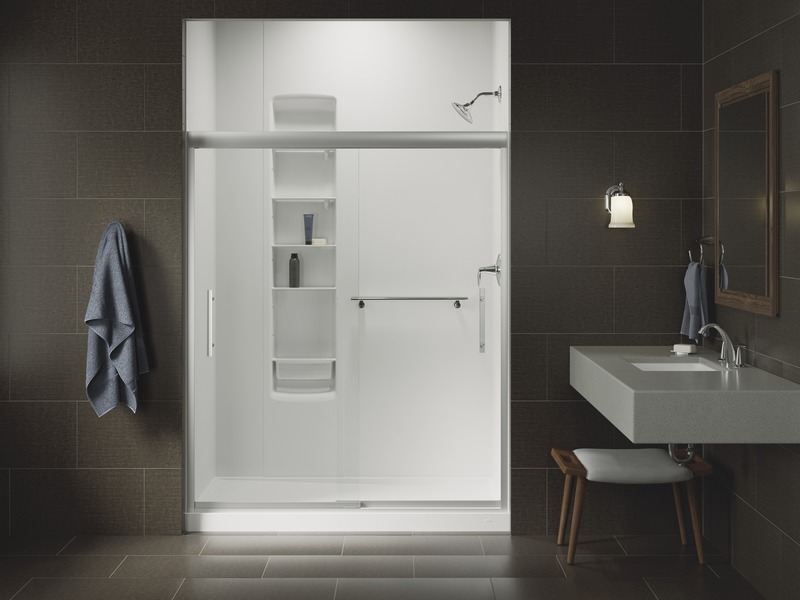 An extra-wide door and low threshold make entering the tub safely a breeze, while a comfortable seat and hydrotherapy features ensure a luxurious bathing experience. 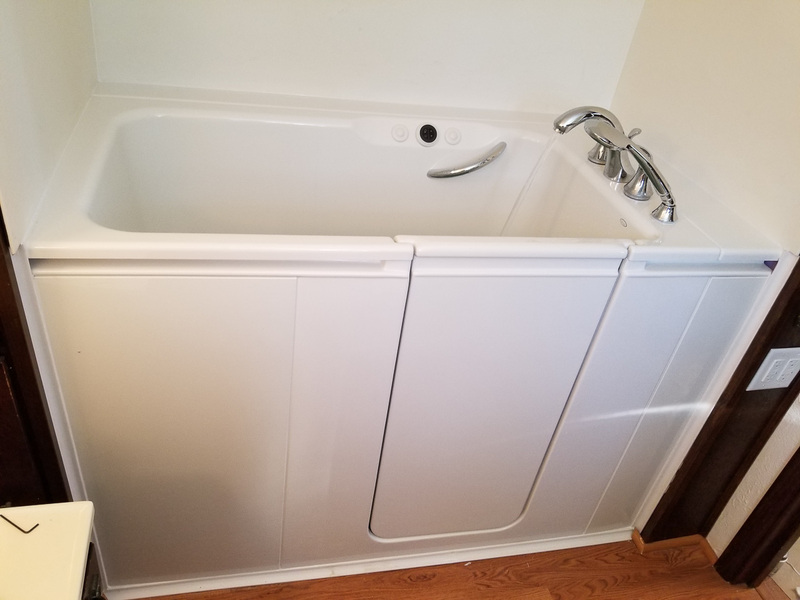 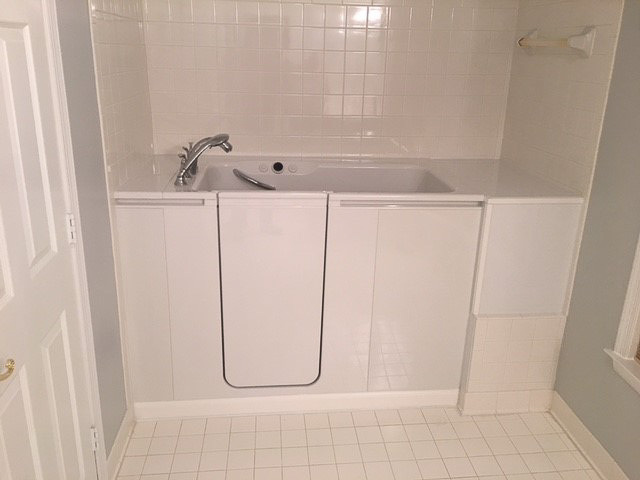 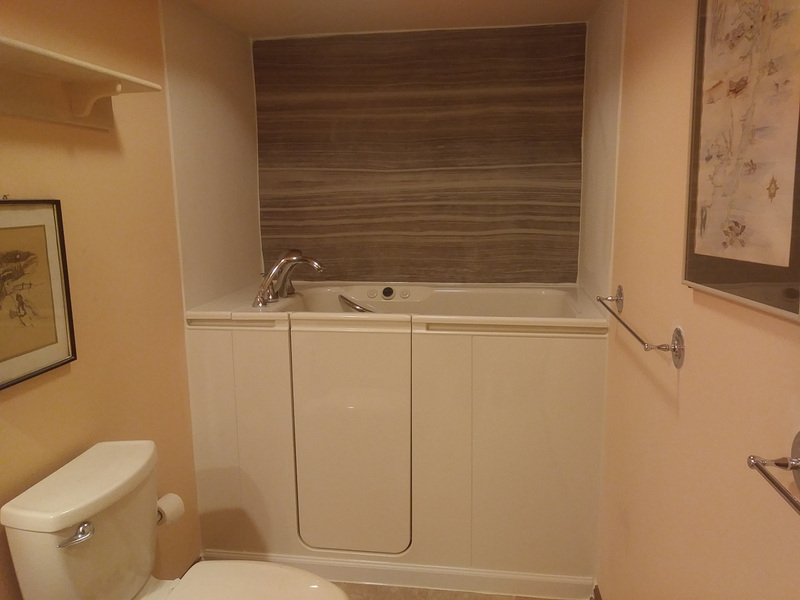 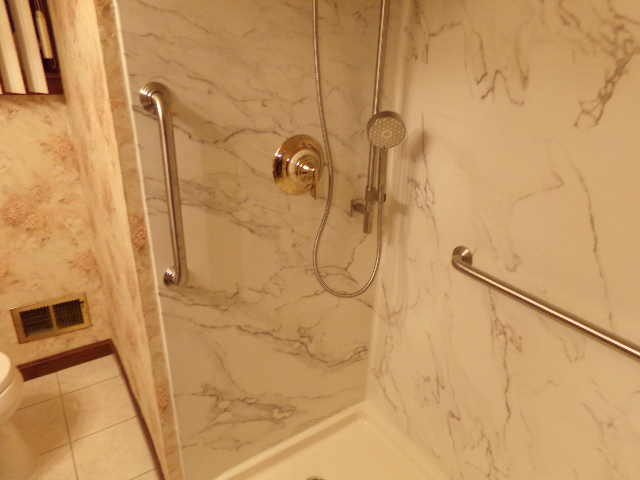 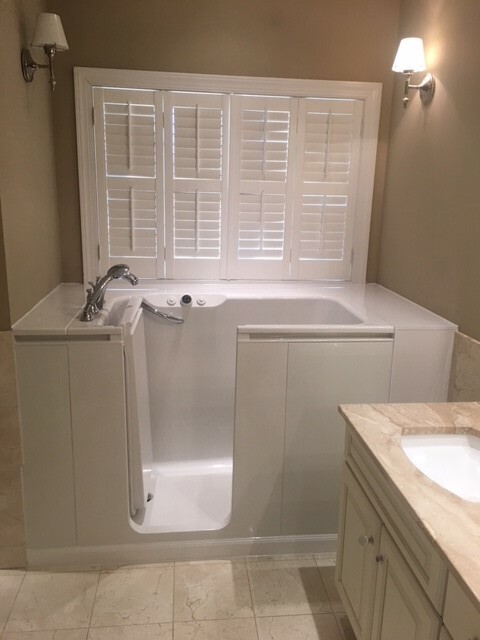 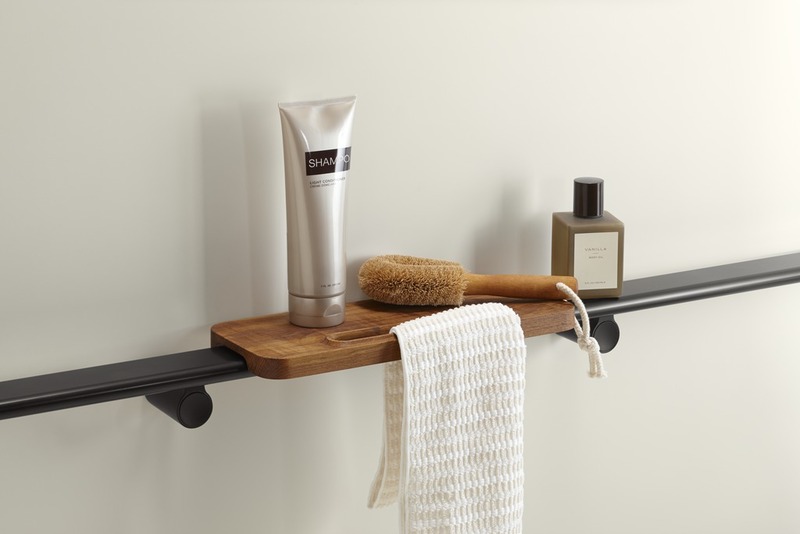 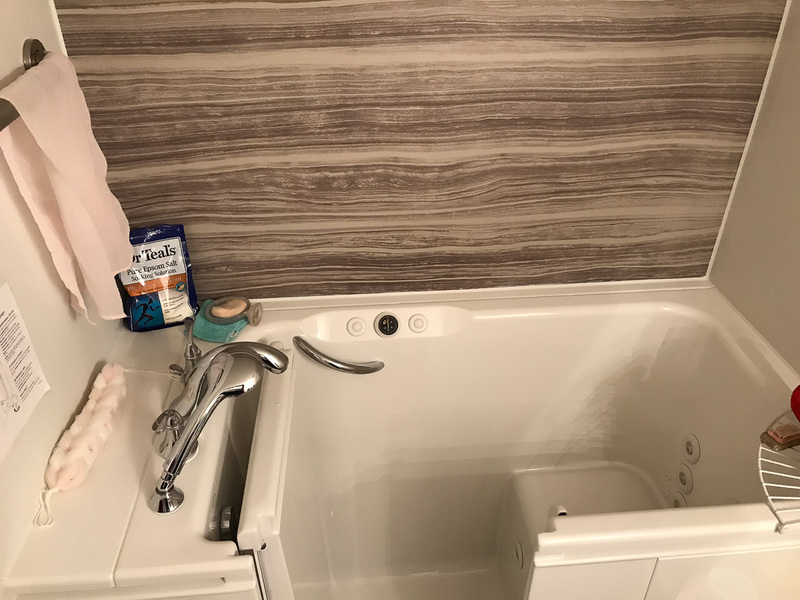 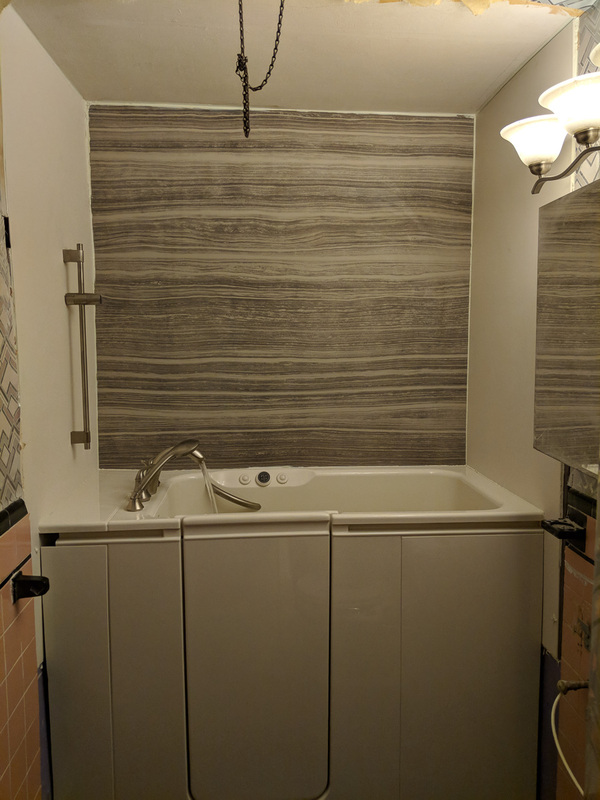 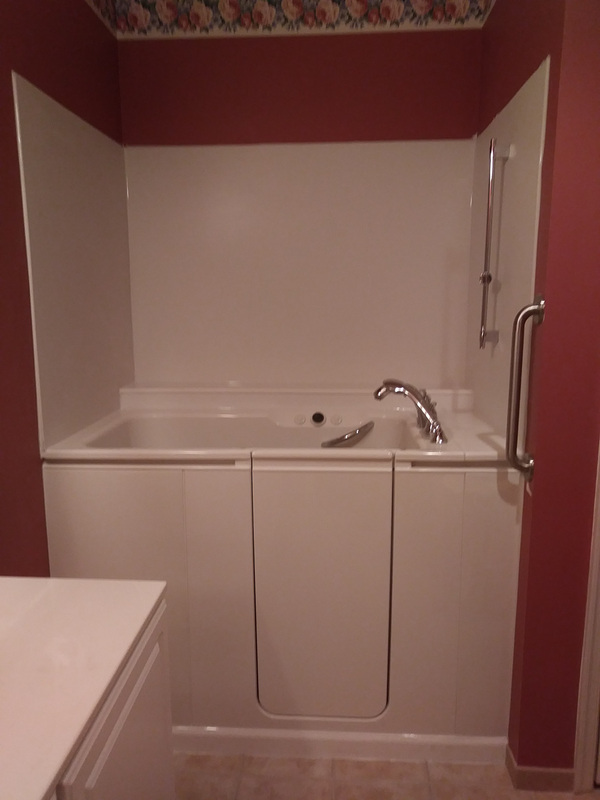 Wall surround installation – If your existing bathtub is surrounded by outdated walls that are difficult to keep clean, our wall surrounds provide a better solution. 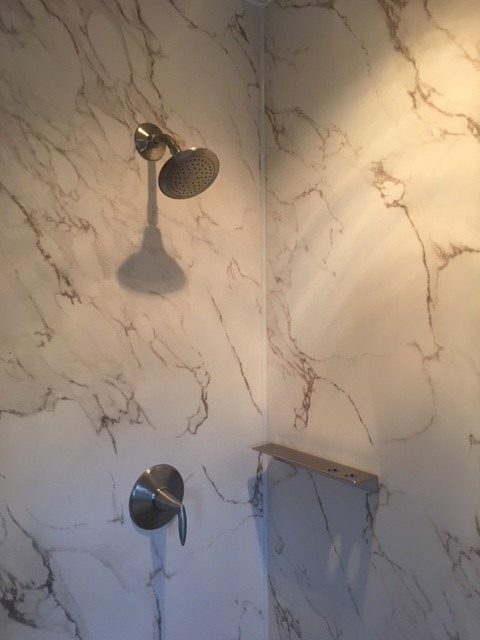 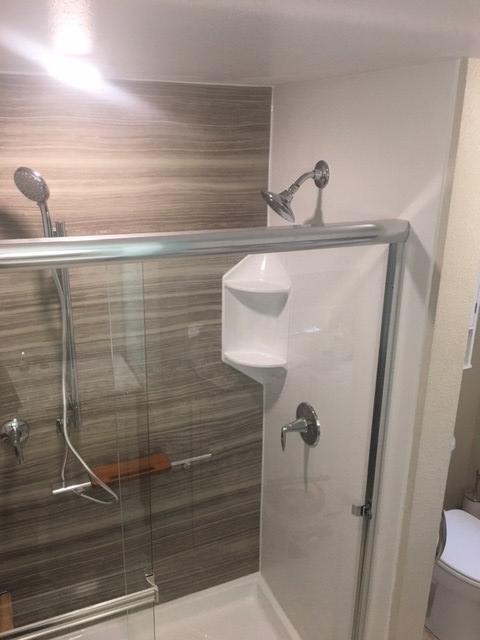 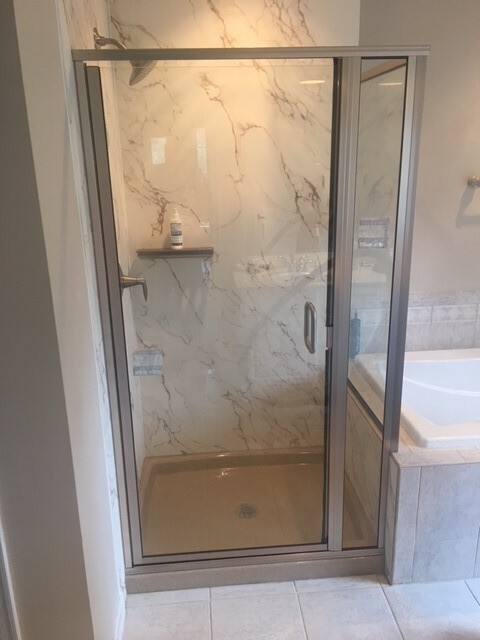 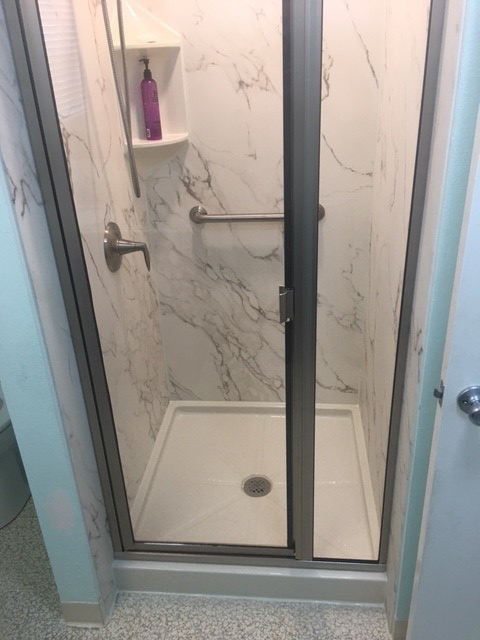 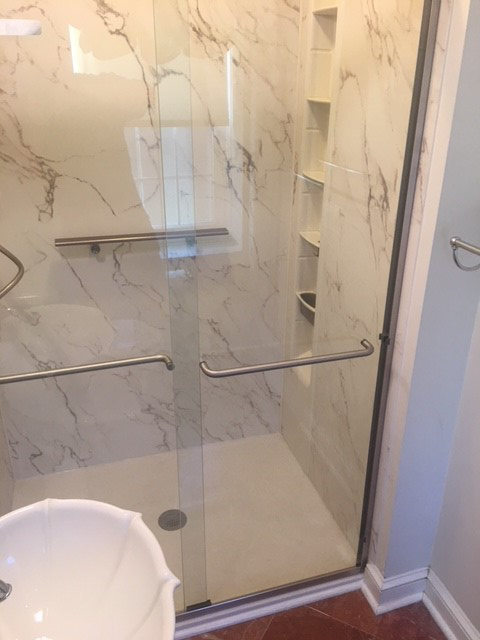 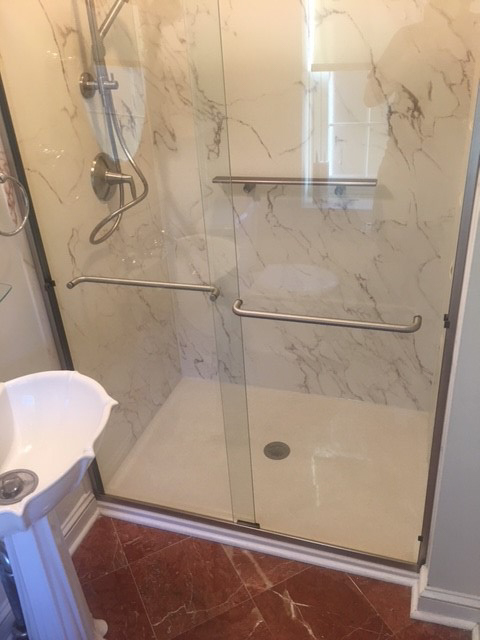 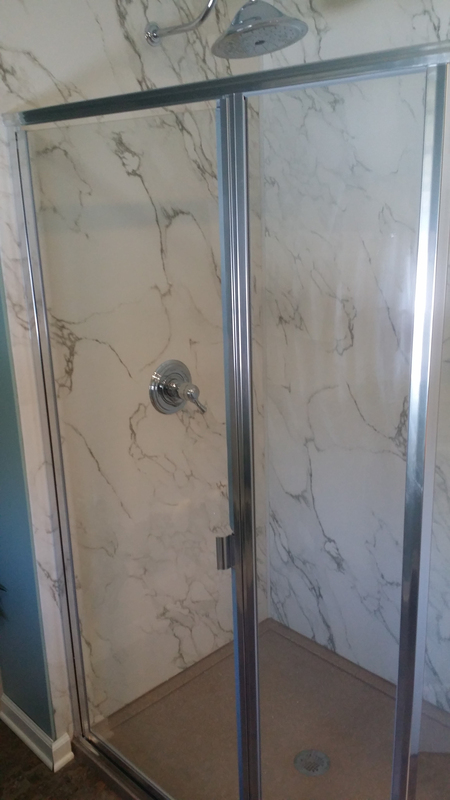 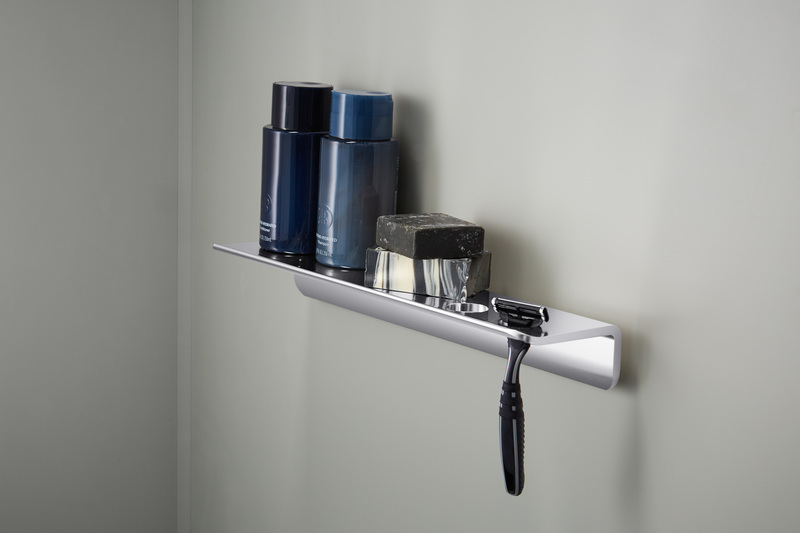 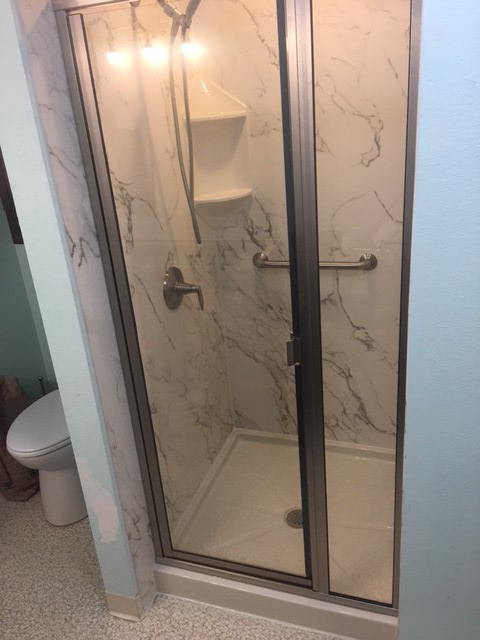 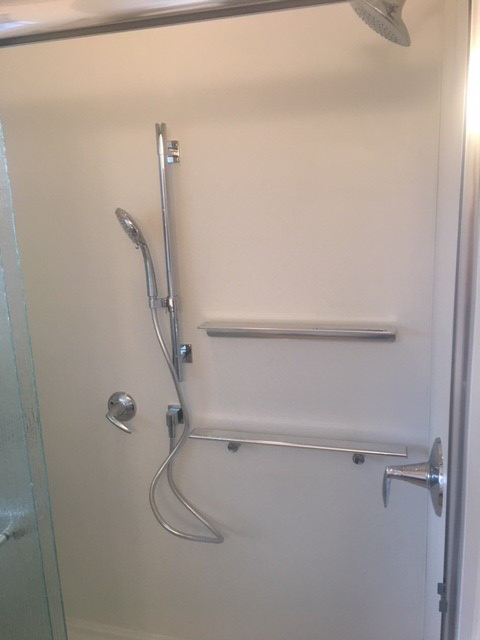 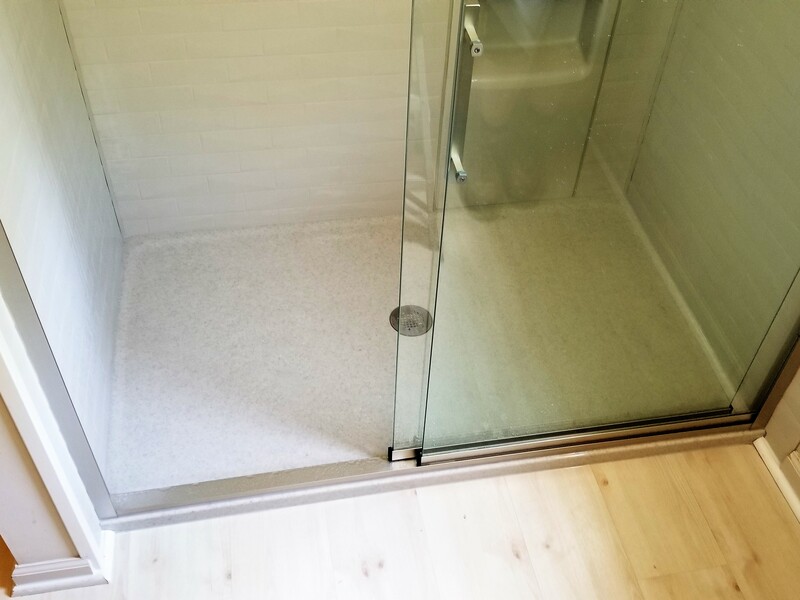 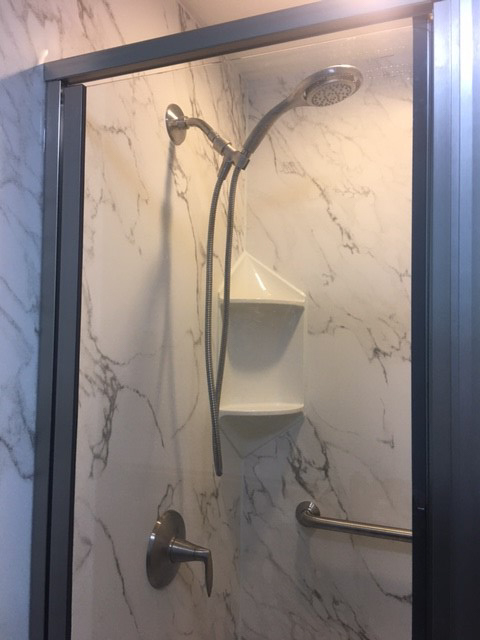 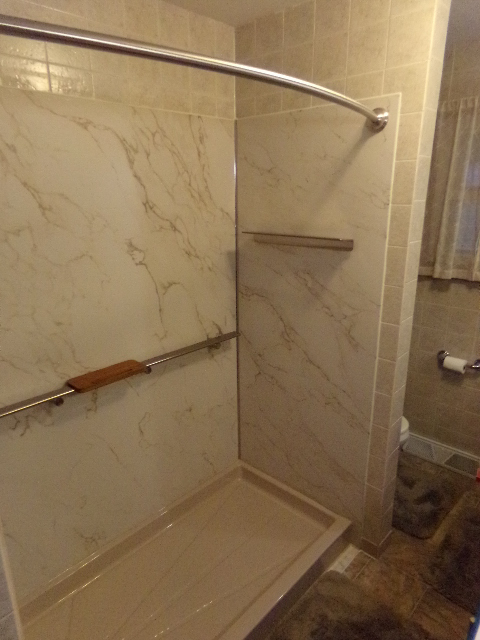 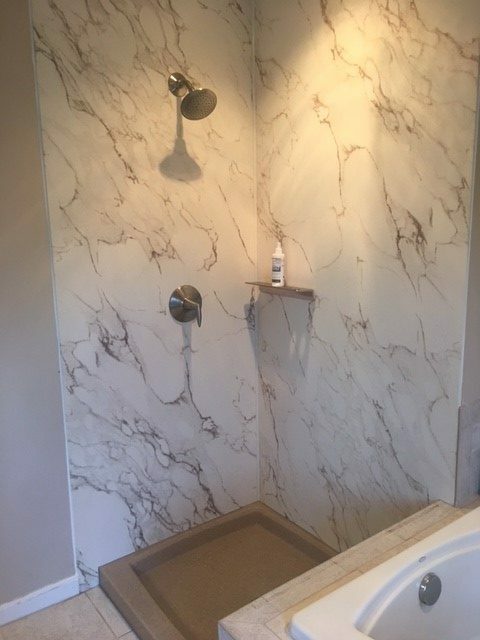 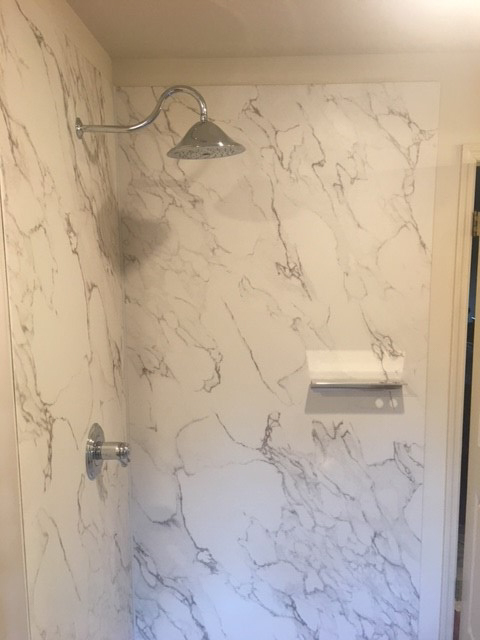 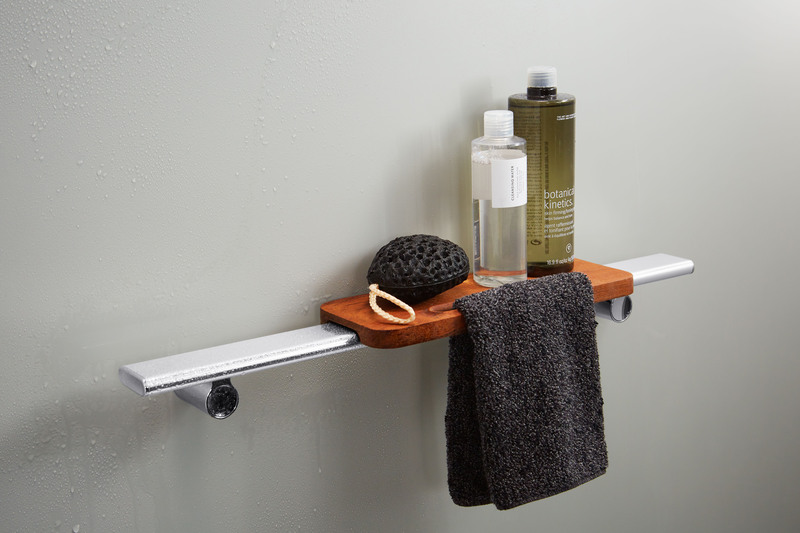 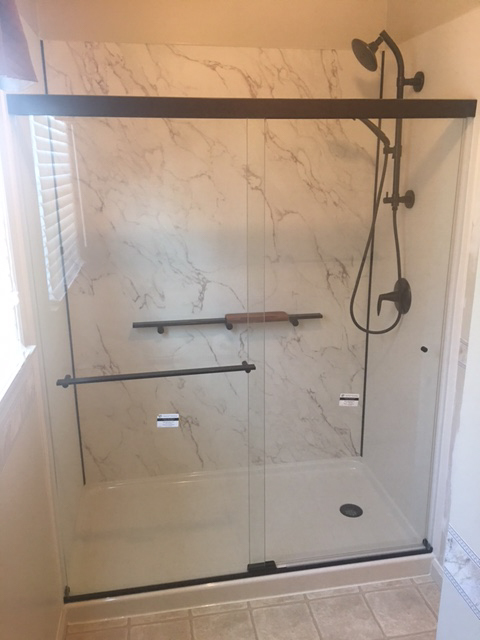 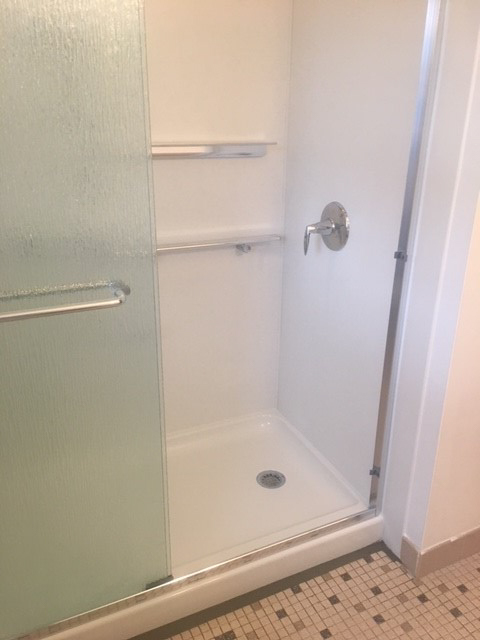 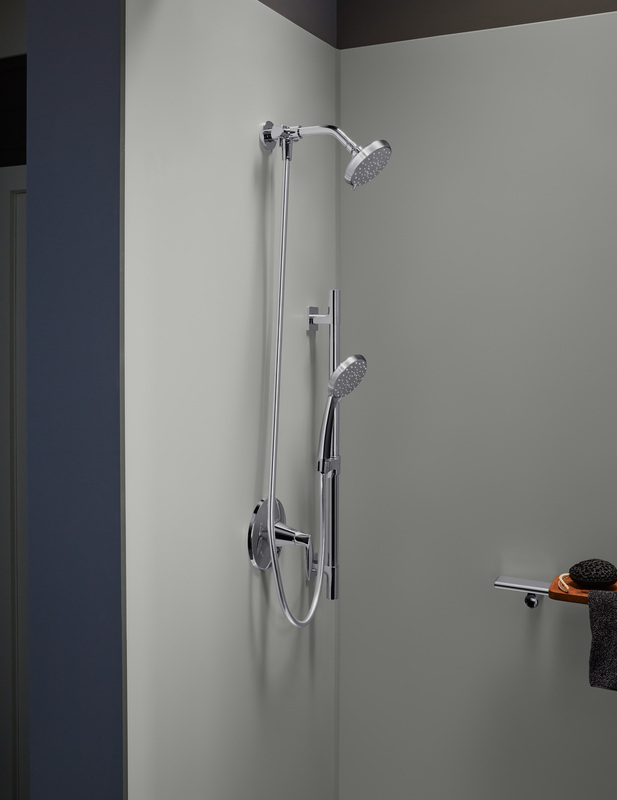 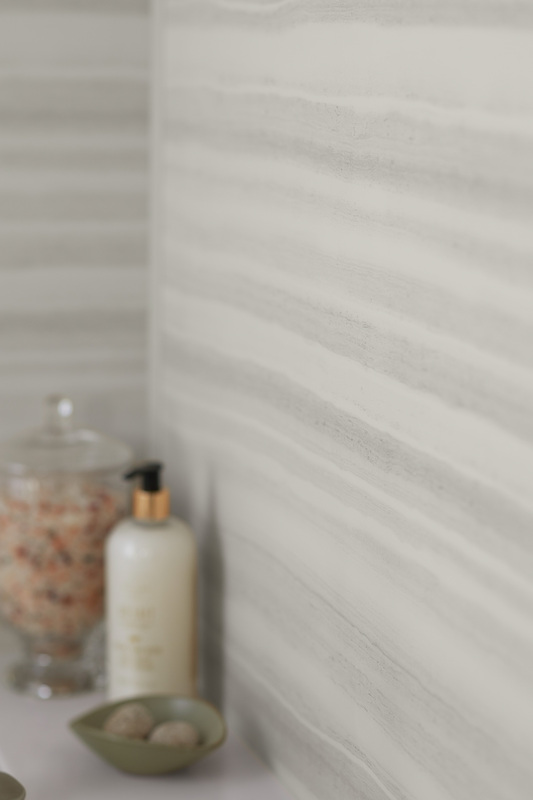 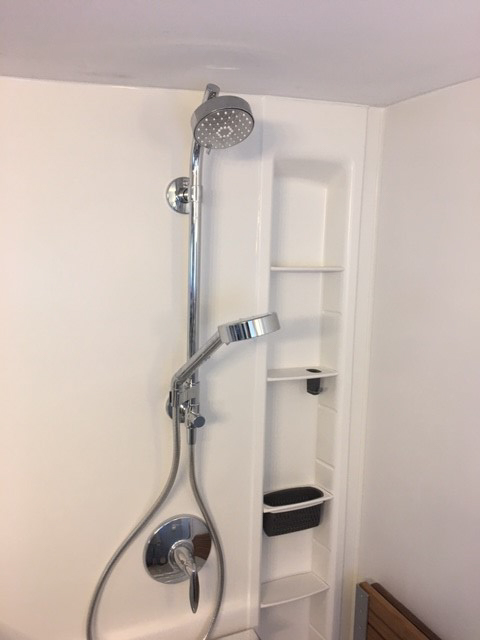 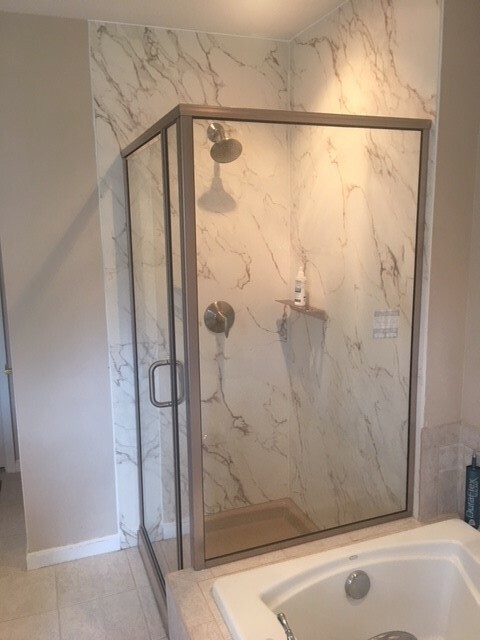 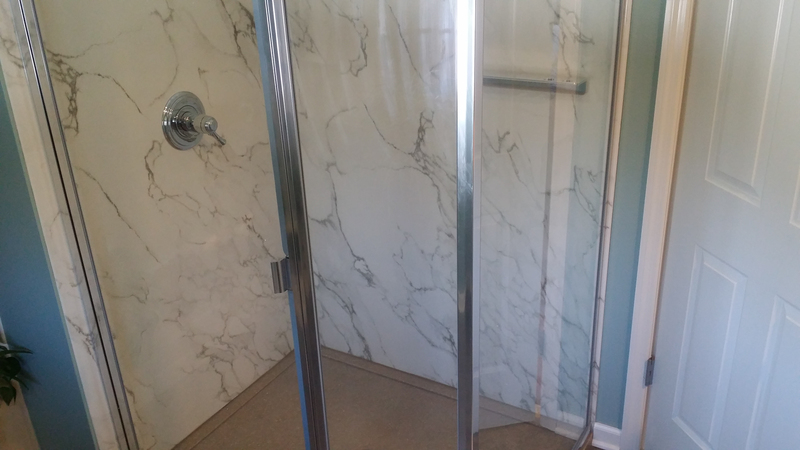 We’ll install them directly over your existing shower walls, creating a stunning new look without the hassles of a long, drawn-out bathroom remodel. 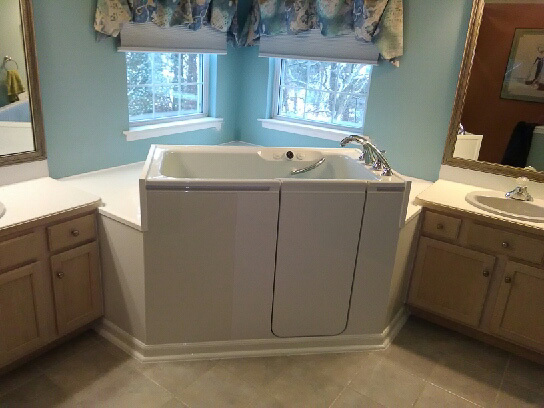 Contact Home Smart Industries today for help determining what type of bathroom remodel is best for you and your family. 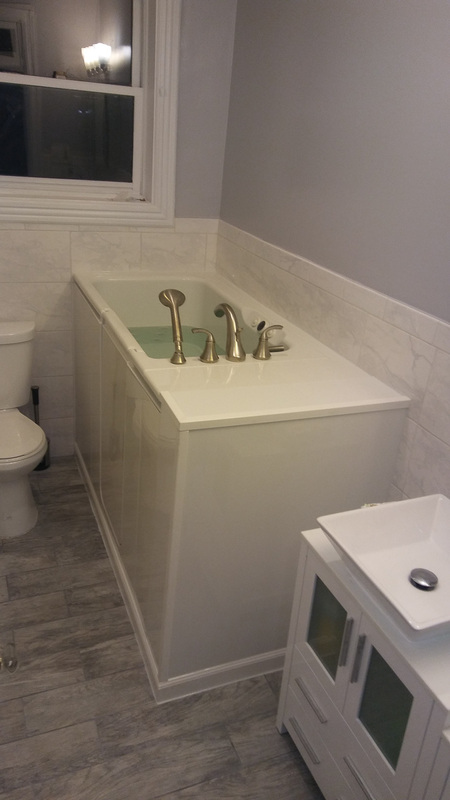 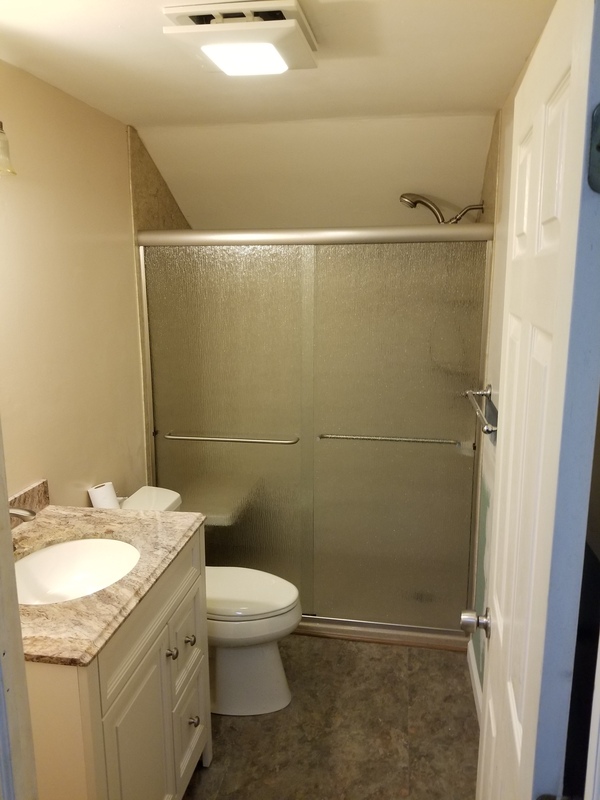 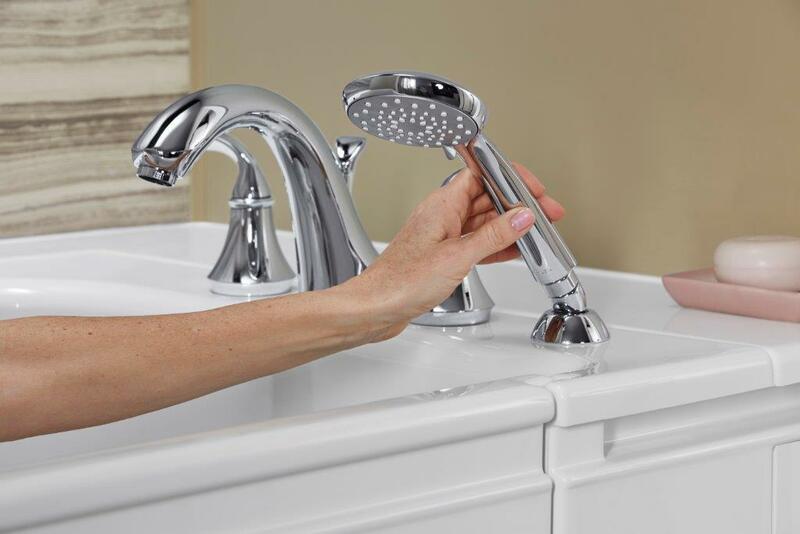 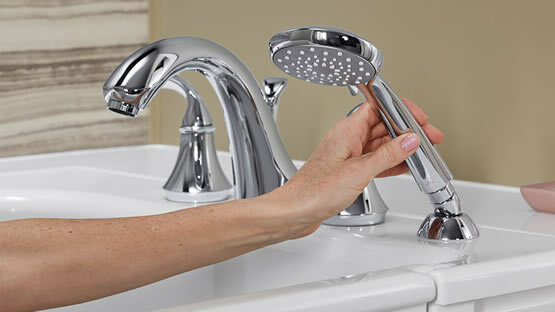 We can also walk you through the different financing options that we offer for qualified customers, so that you can choose the exact bathroom remodel you want while staying within your intended budget.